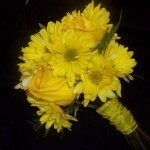 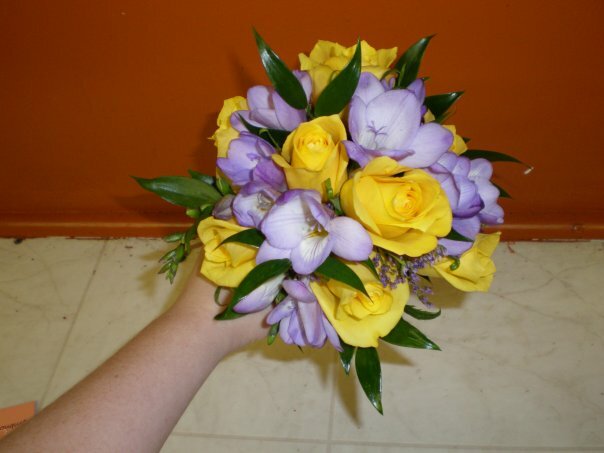 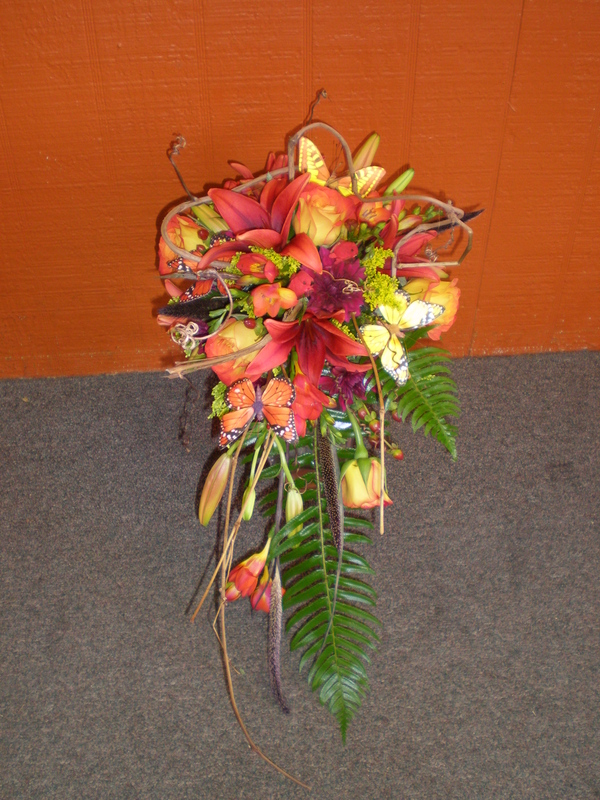 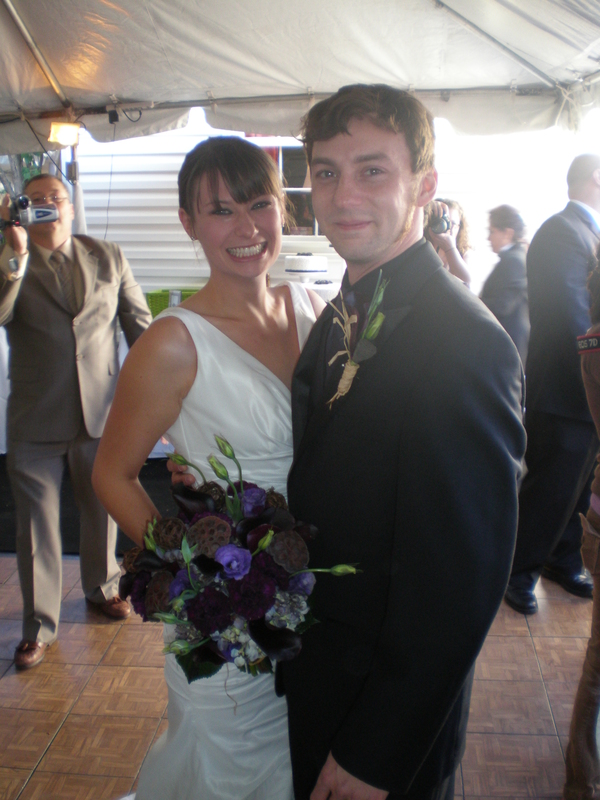 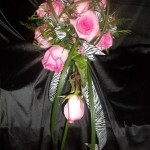 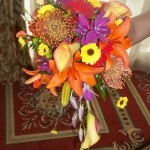 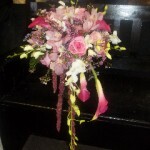 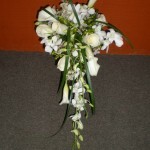 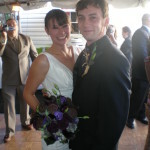 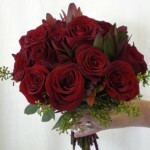 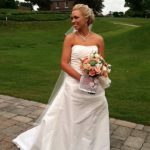 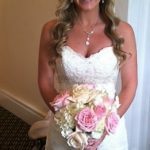 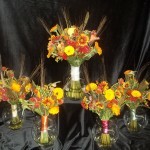 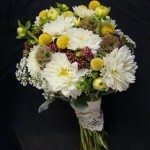 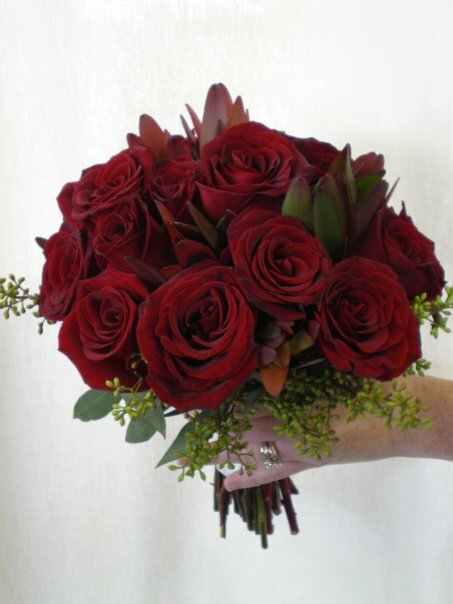 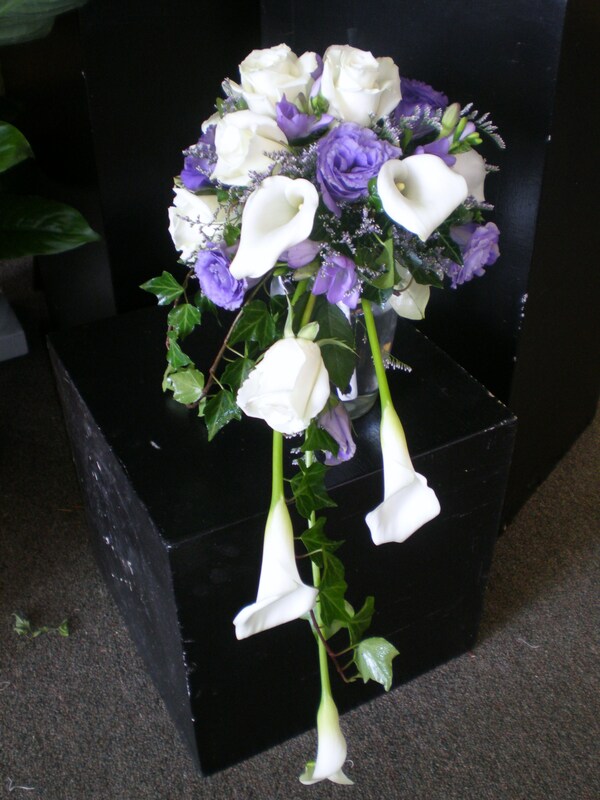 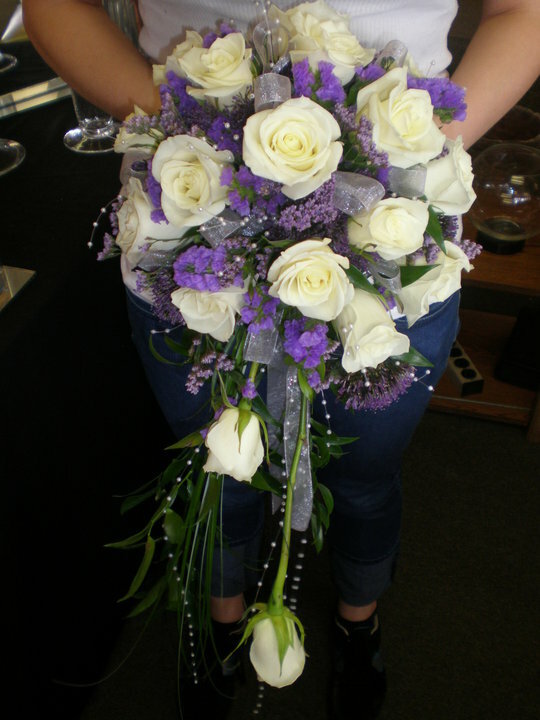 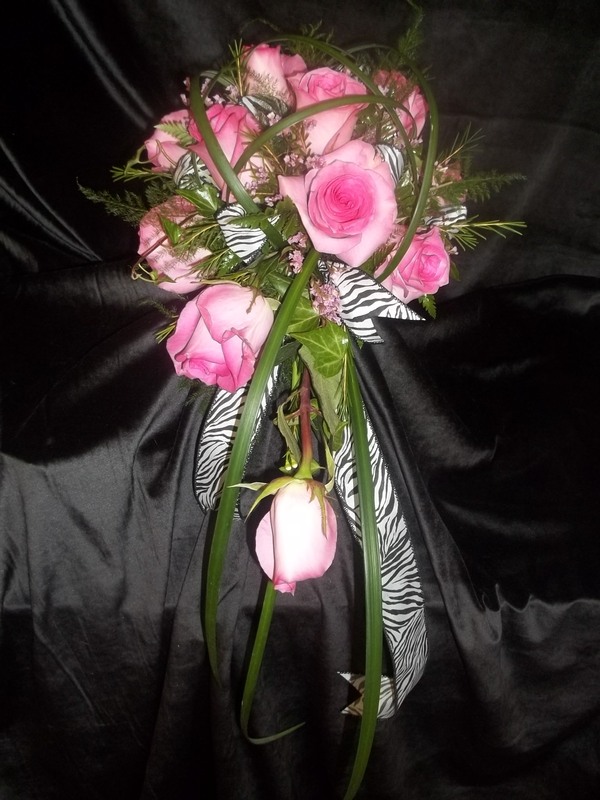 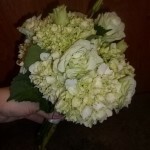 Below are bouquets in varying styles. 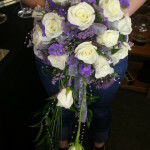 Please bear in mind most of these photos are not professionally done and sometimes are taken from our personal phones while designing/setting up the weddings. 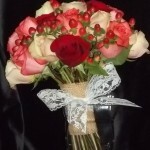 Any of these bouquets can be tweaked to fit your own personal style. 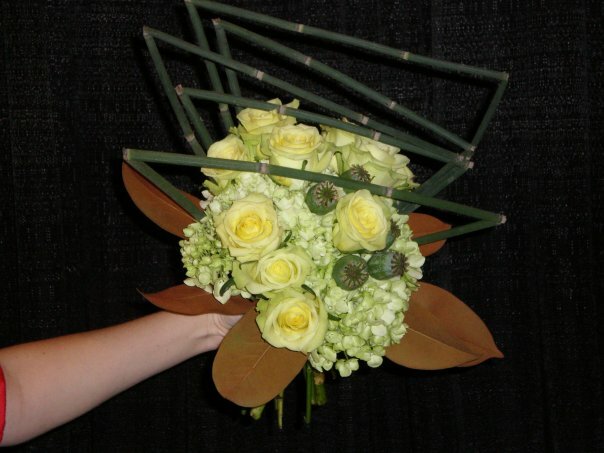 Airy hand-tied bridal bouquet with a garden feel. 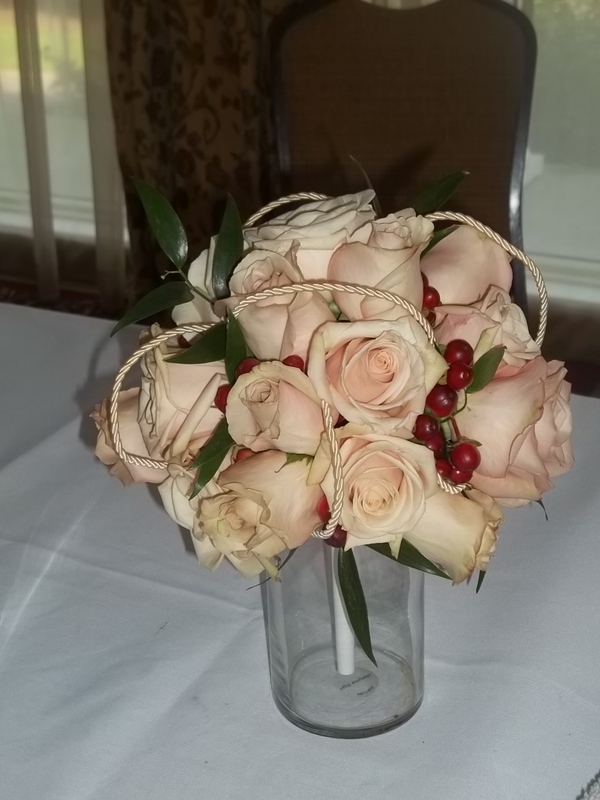 Vintage style with white, pale pink and burgundy. 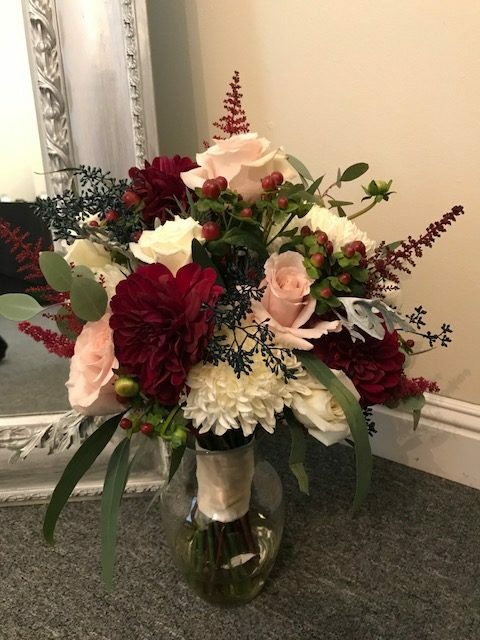 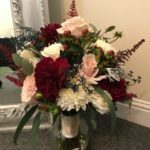 A vintage mix of white mums, white and quicksand roses, burgundy dahlias and astilbe, finished off with willow eucalyptus. 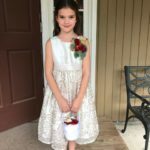 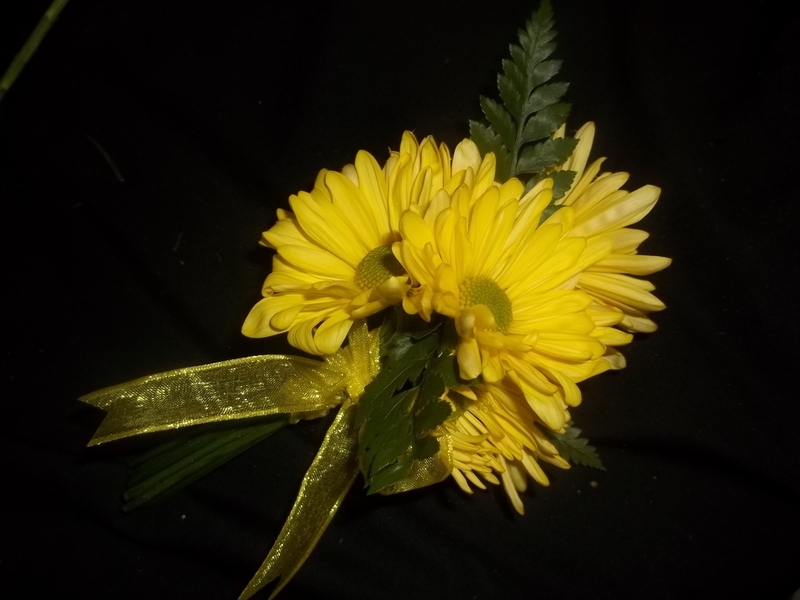 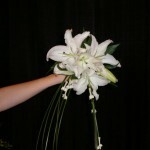 A pin on corsage is a perfect perfect way to keep the hands free for a flower girl’s petal duty. 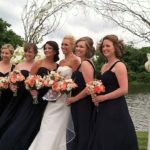 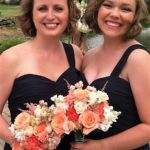 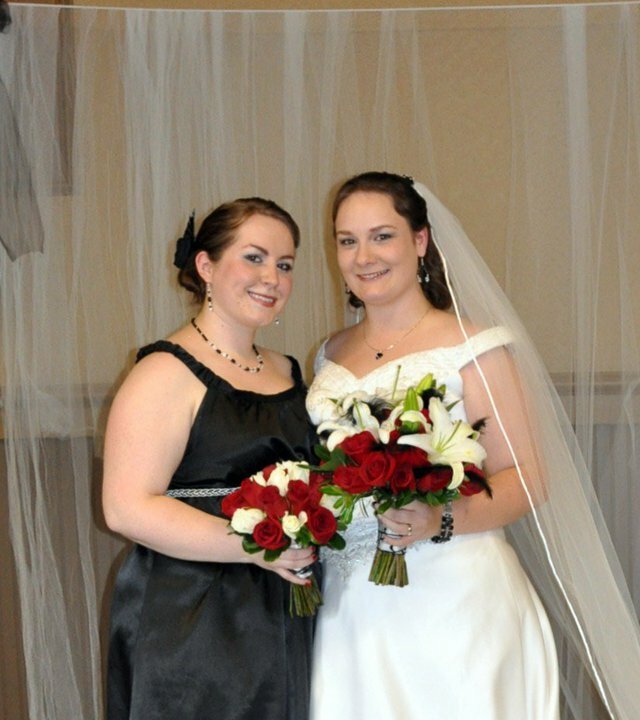 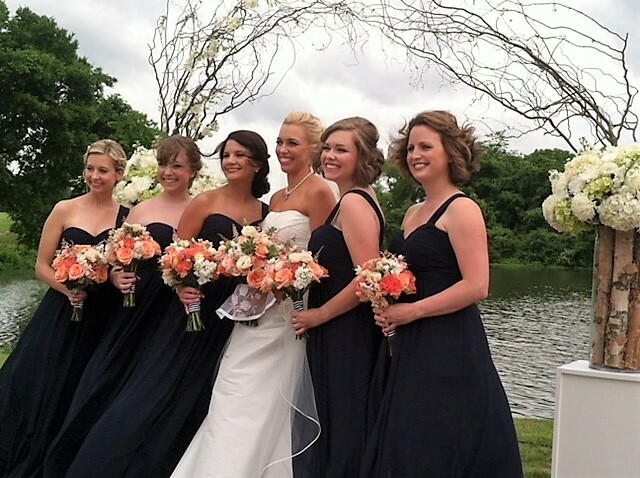 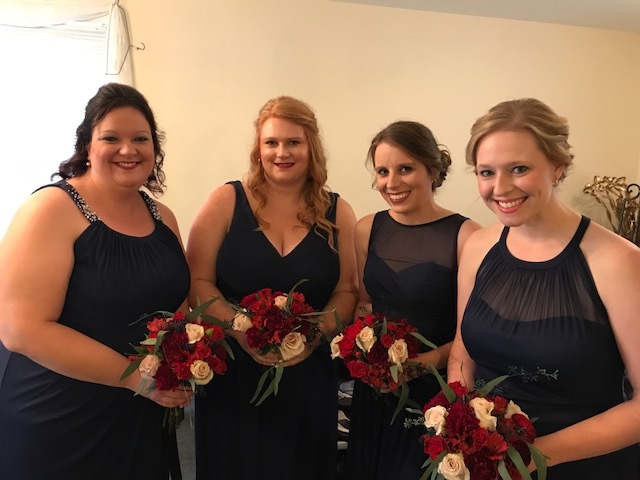 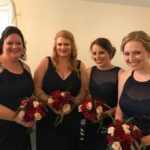 burgundy and pale creamy pink pops off nicely on these formal black bridesmaids’ dresses. 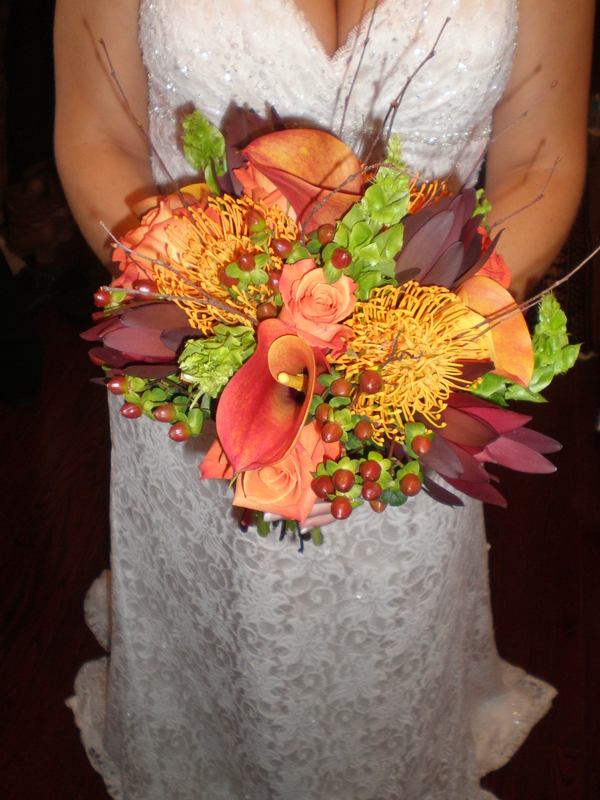 Fall bridal bouquet with bridesmaids clutches each wrapped in a different shade of satin ribbon to match the dress colors. 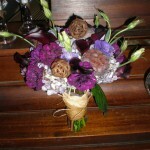 Purple is the new fall and the color of royalty. 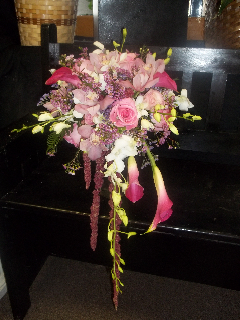 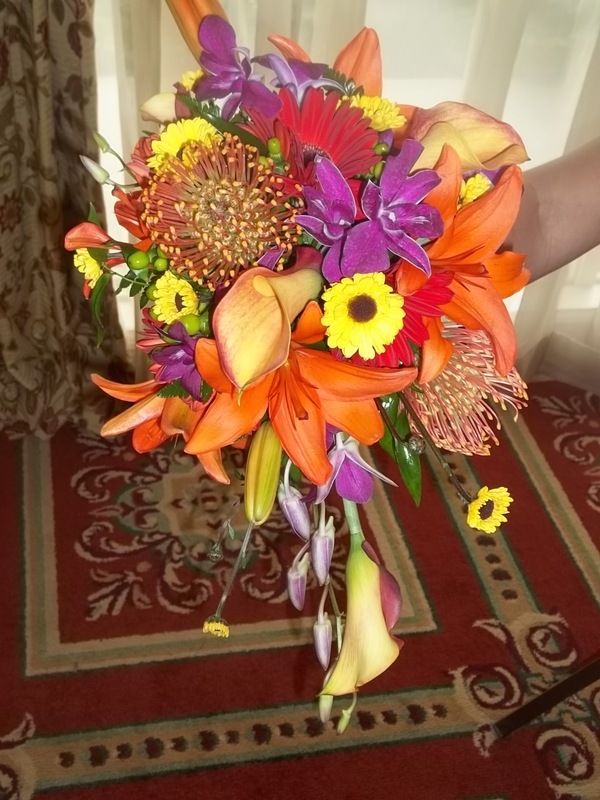 Two tone cascading style bouquet. 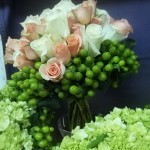 A green lovers dream. 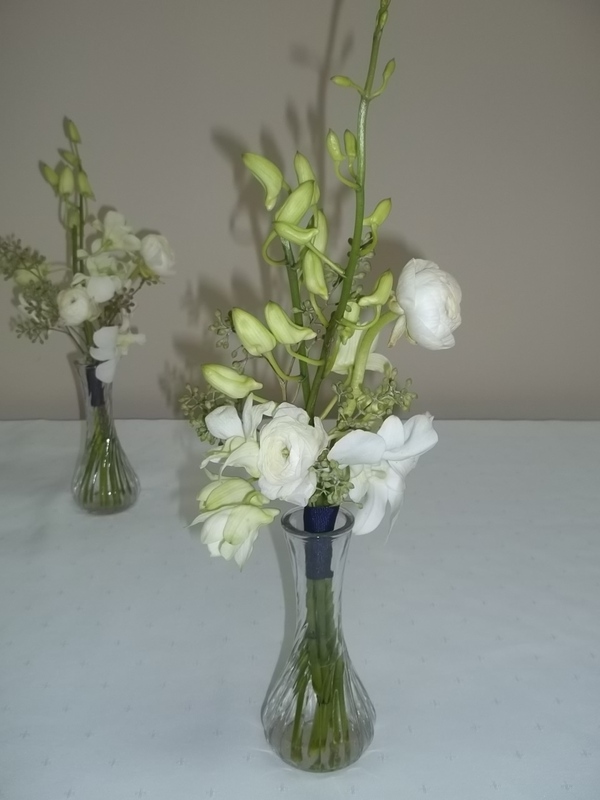 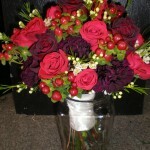 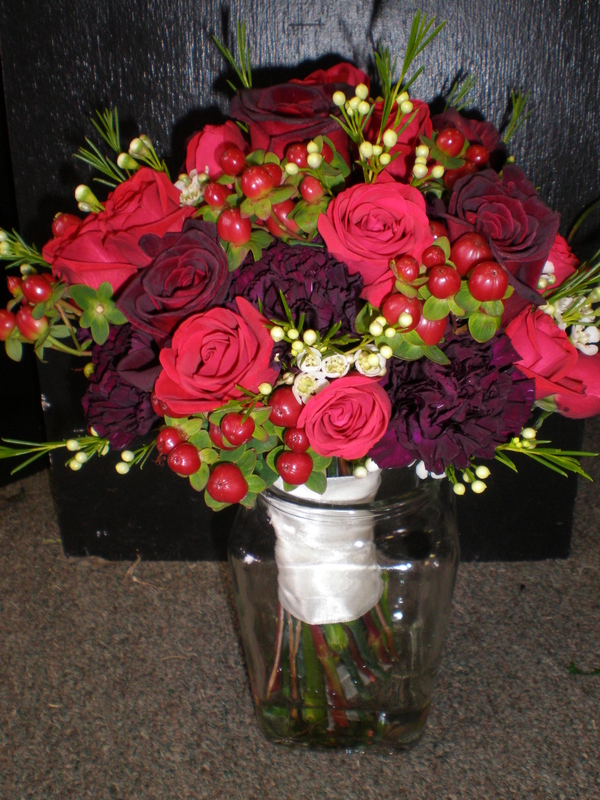 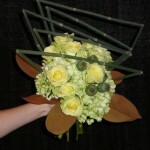 We can make monochromatic bouquets in most shades. 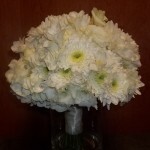 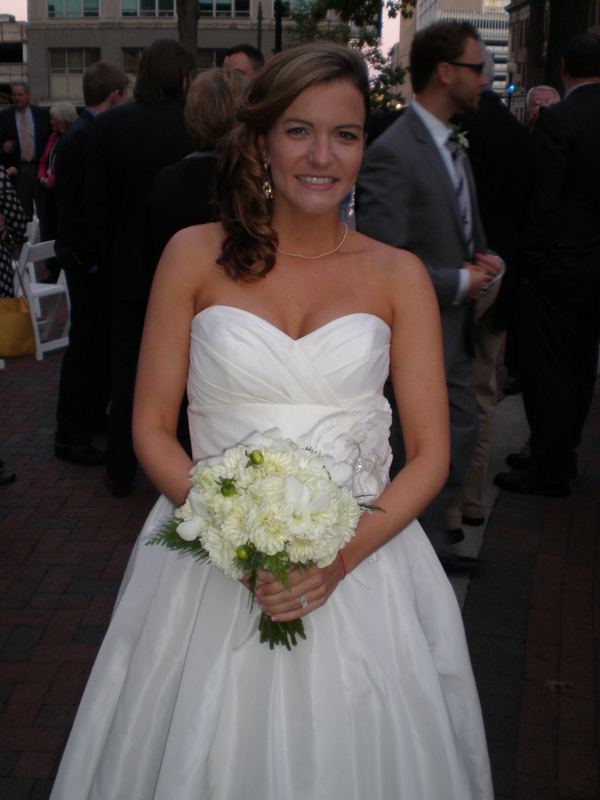 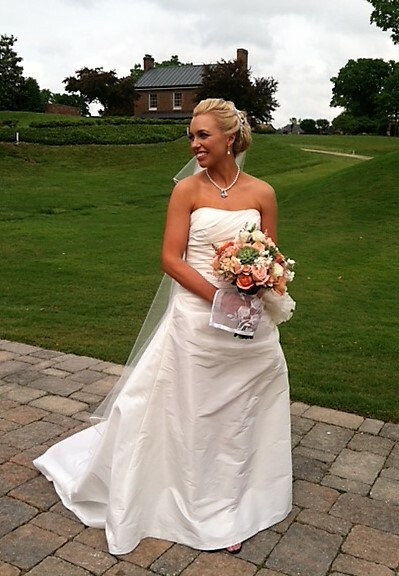 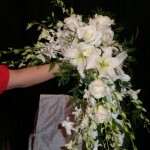 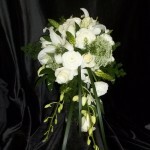 Always elegant all white cascading bouquet. 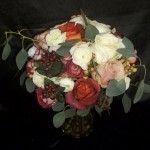 Lush mix of roses and stock. 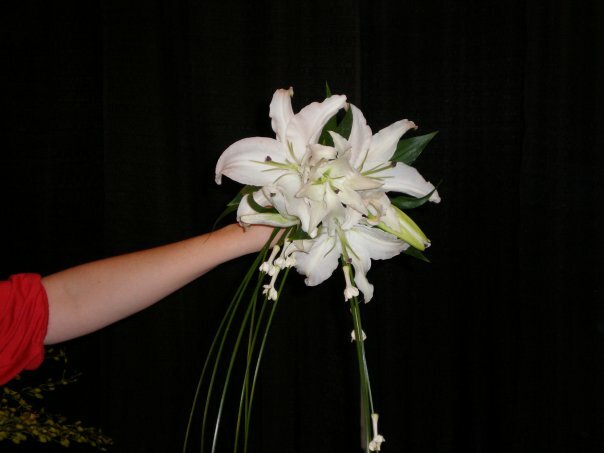 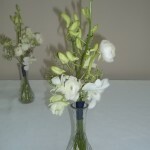 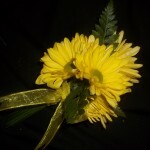 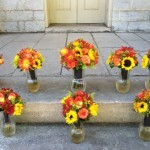 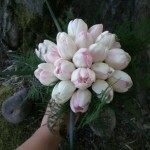 A small nosegay of flowers is the perfect size for a small informal ceremony or perhaps a Jr. bridesmaid. 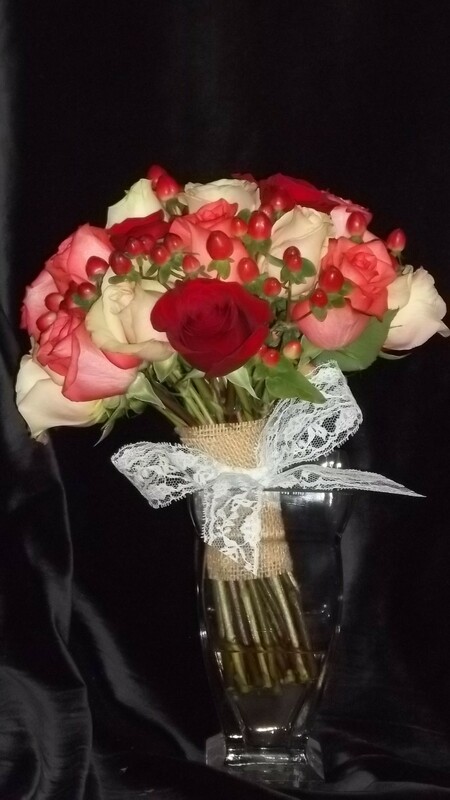 Bridal bouquet of roses with a touch of pearls mixed in. 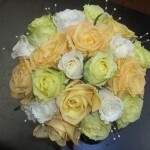 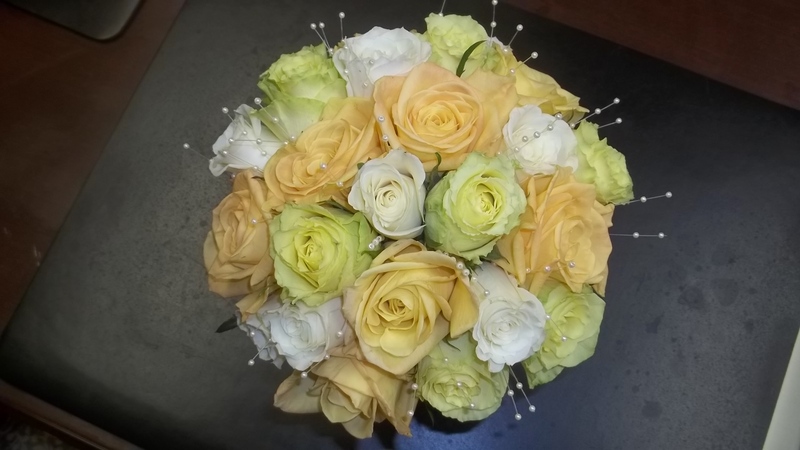 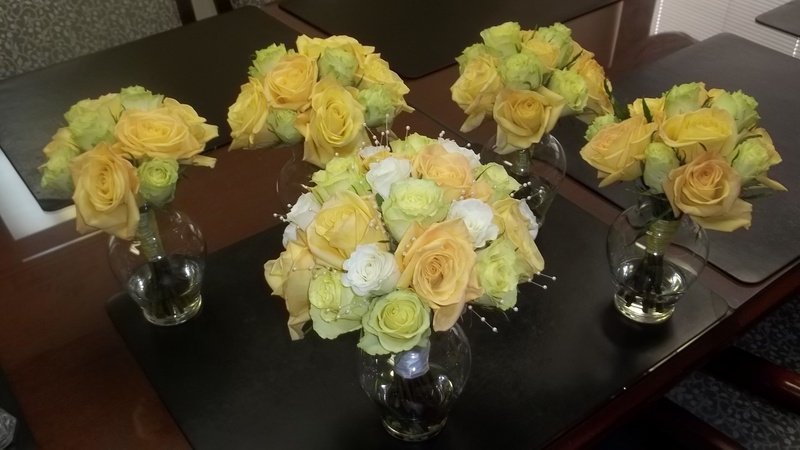 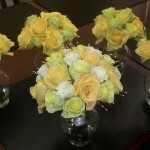 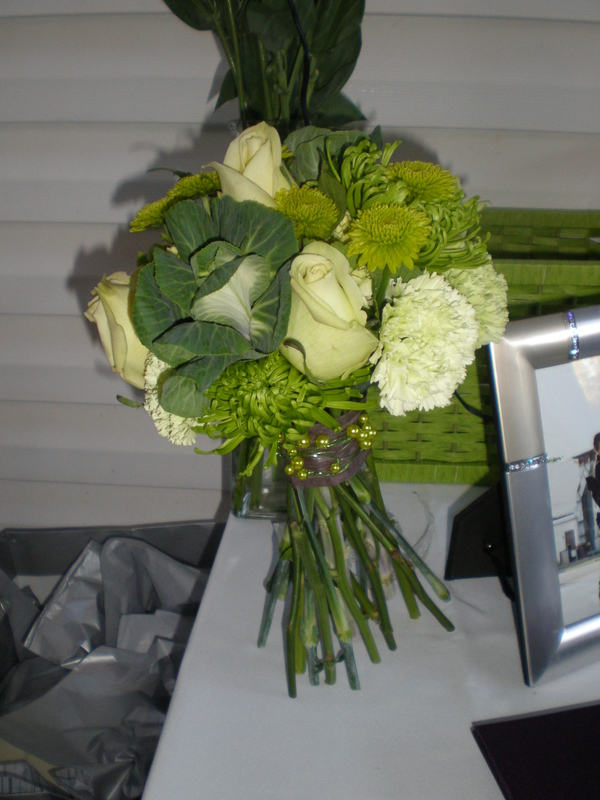 Spring bouquets featuring white “Escimo”, green “Jade”, and yellow “Skyline” roses. 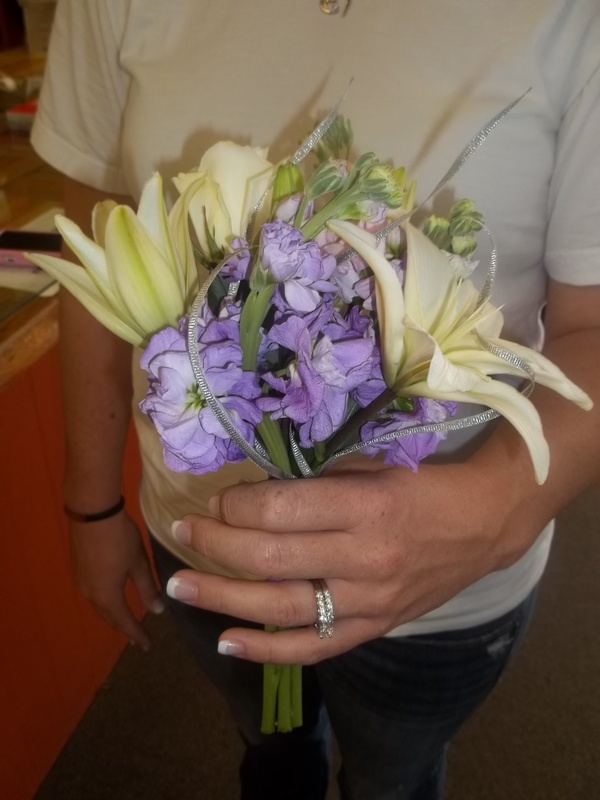 Bridal bouquet with her bridesmaids’ close by. 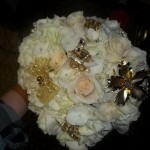 Personal touches like this family rosary can always be incorporated to make your bouquet more sentimental. 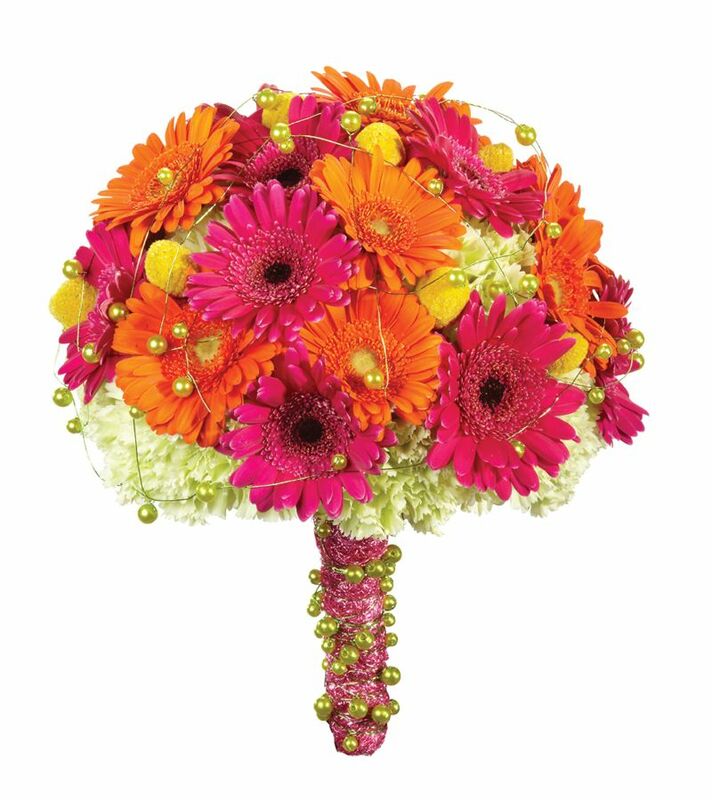 Vintage baubles add bling to this lush bouquet. 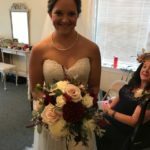 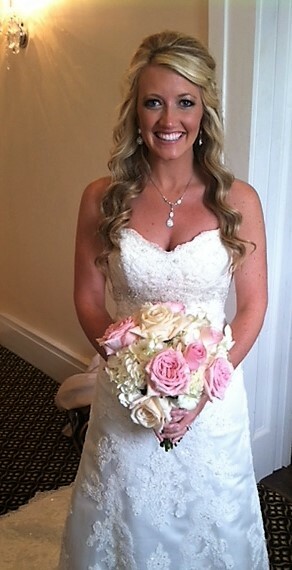 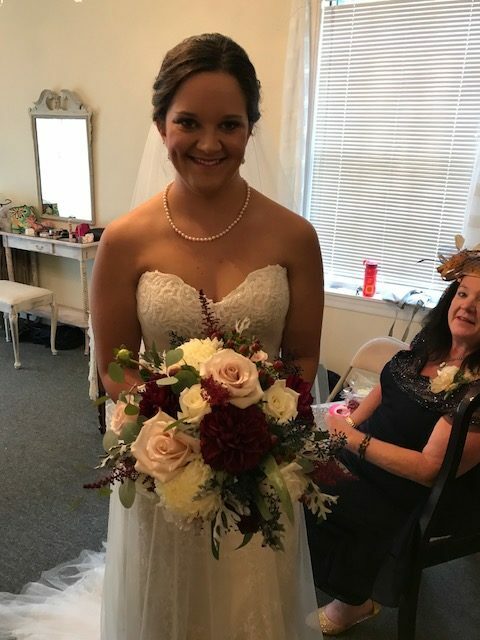 Blushing bride and her bouquet. 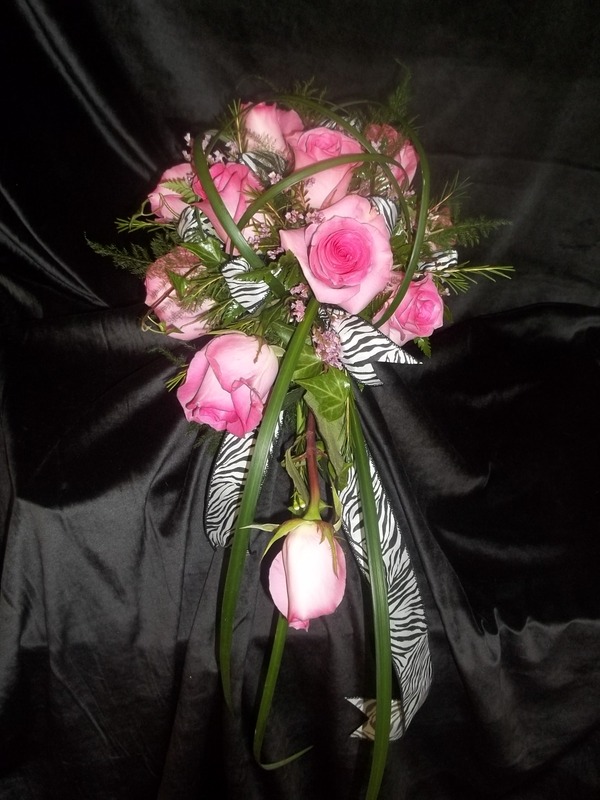 Young and fun quinceanera bouquet. 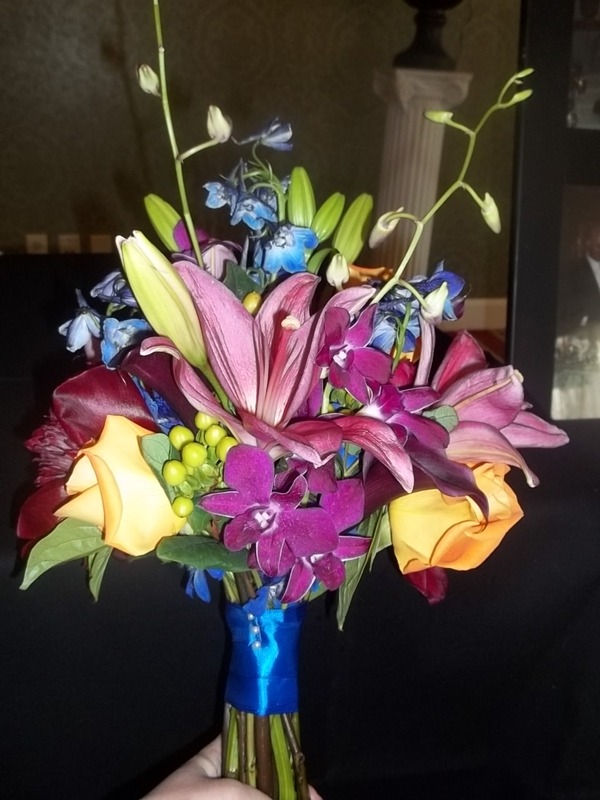 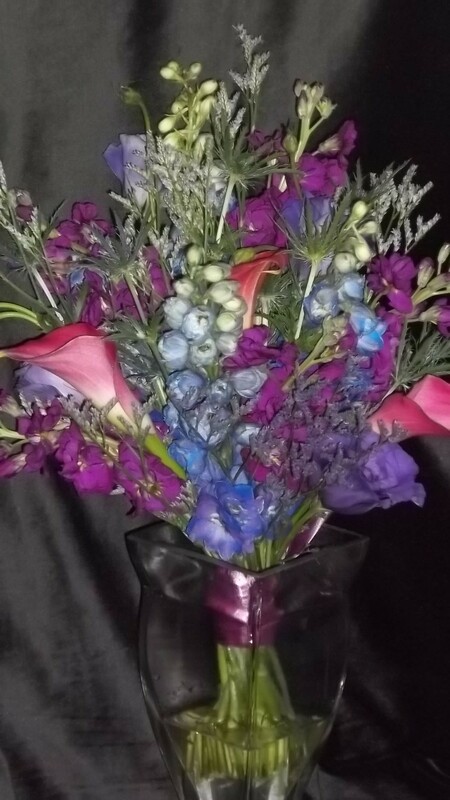 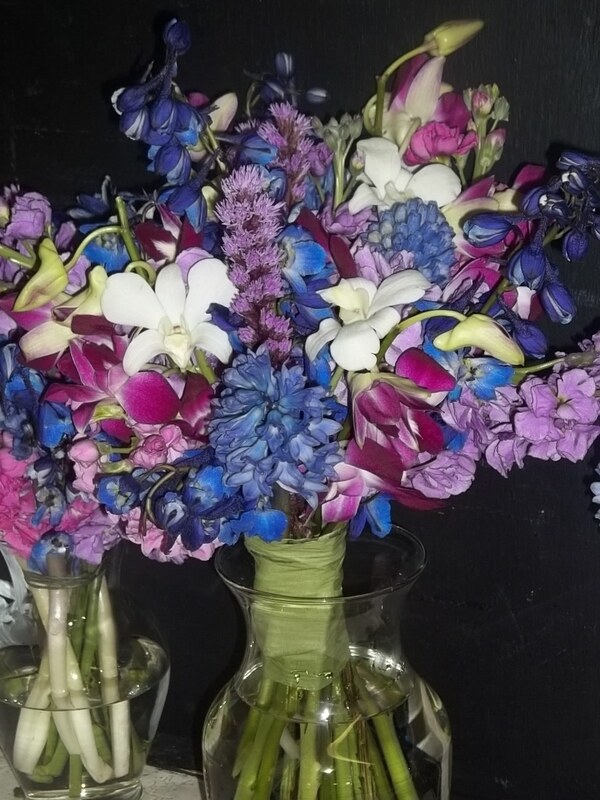 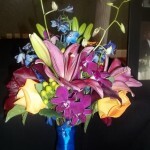 Jewel tones, Lily, Rose, Peony, Calla, Orchid, Delphinium and Hypericum Berry. 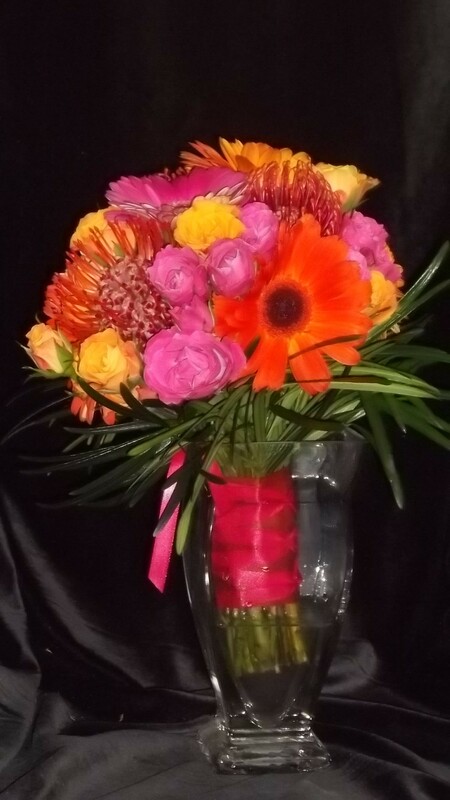 A spring clutch bouquet of daisies and roses. 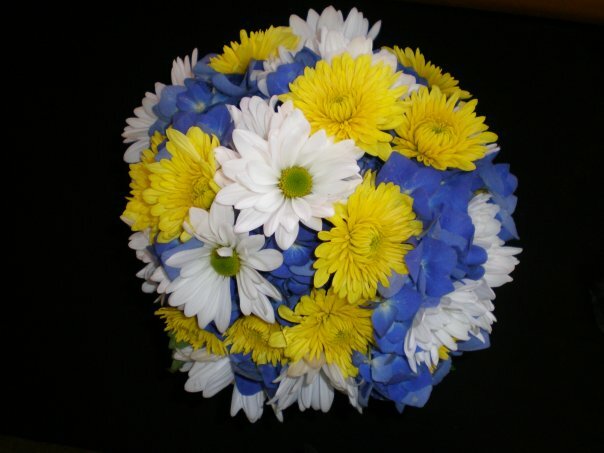 Round mixture of hydrangea, daisies and mums. 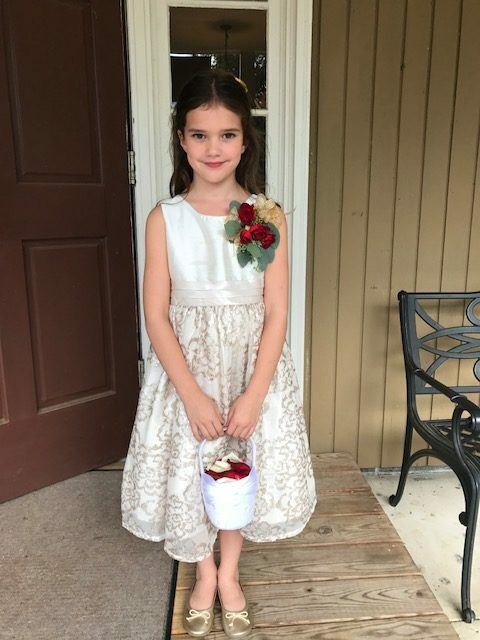 A petite clutch for the flower girl. 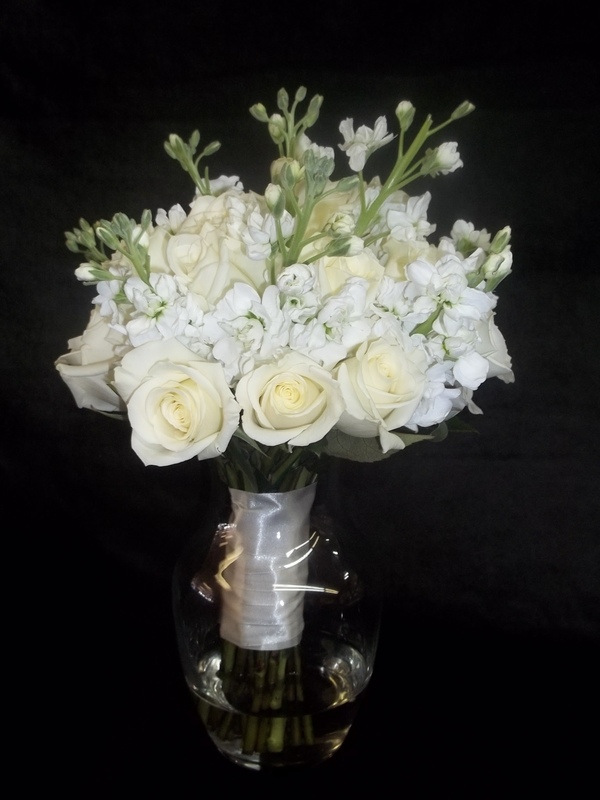 Lush all white mix of Hydrangea, Mums, Freesia and Lisianthus. 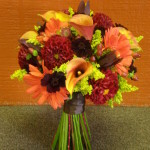 Bold hot colors are sure to make your bouquet a stunner. 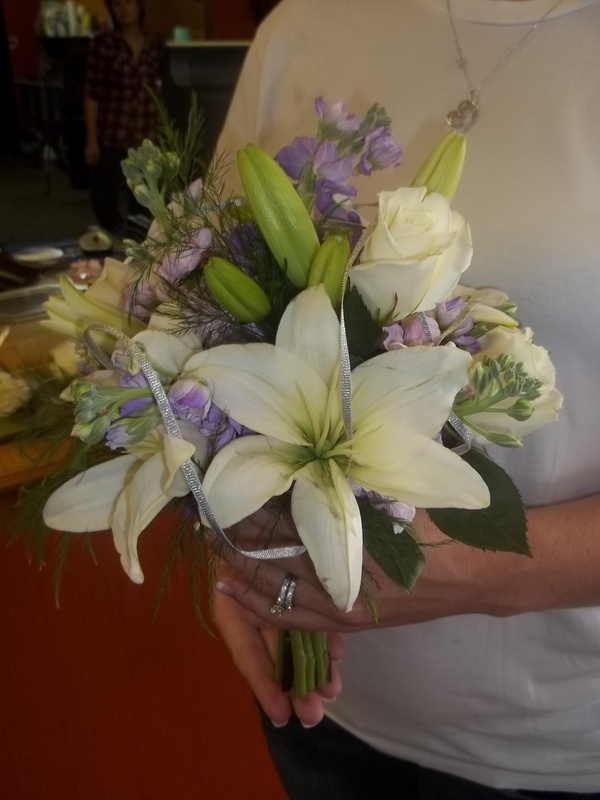 Summer bridal bouquet with a touch of blue. 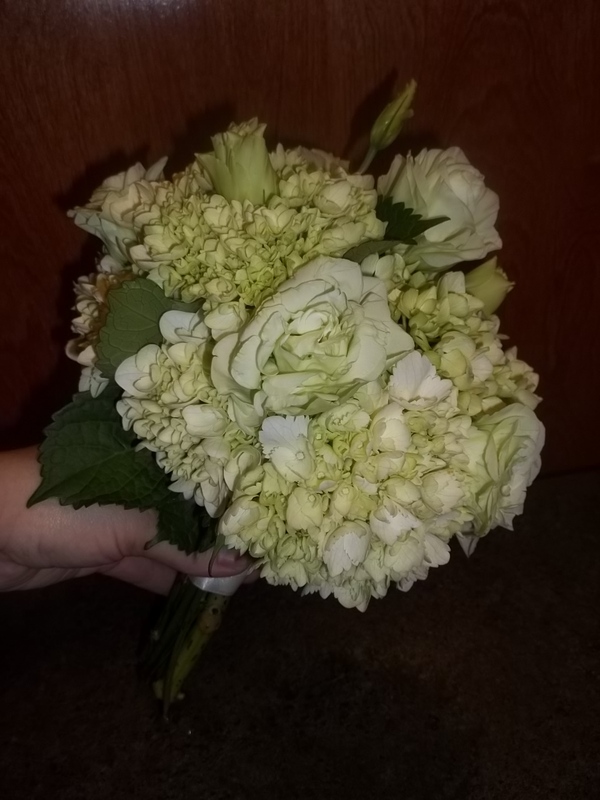 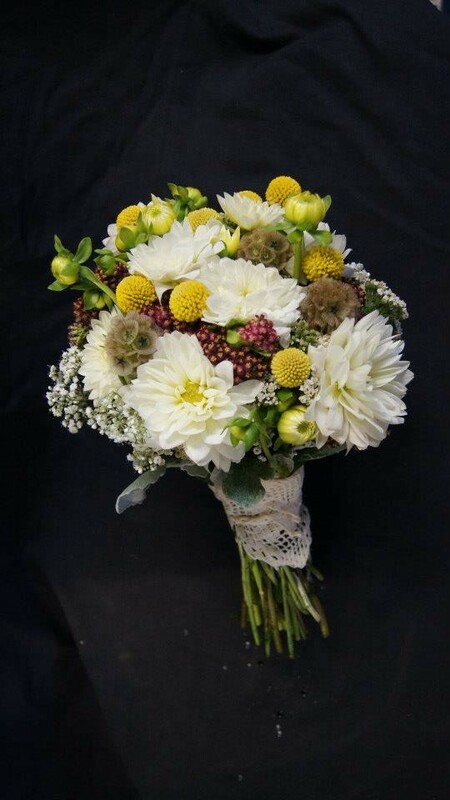 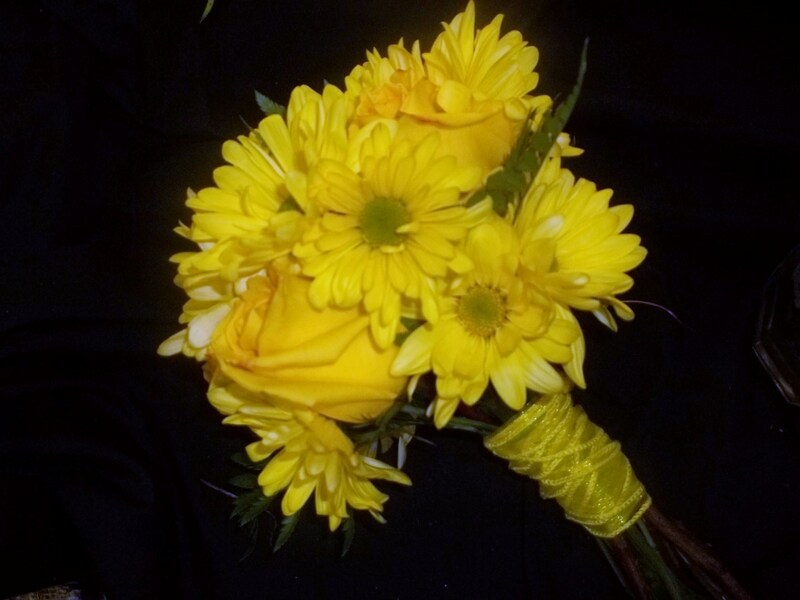 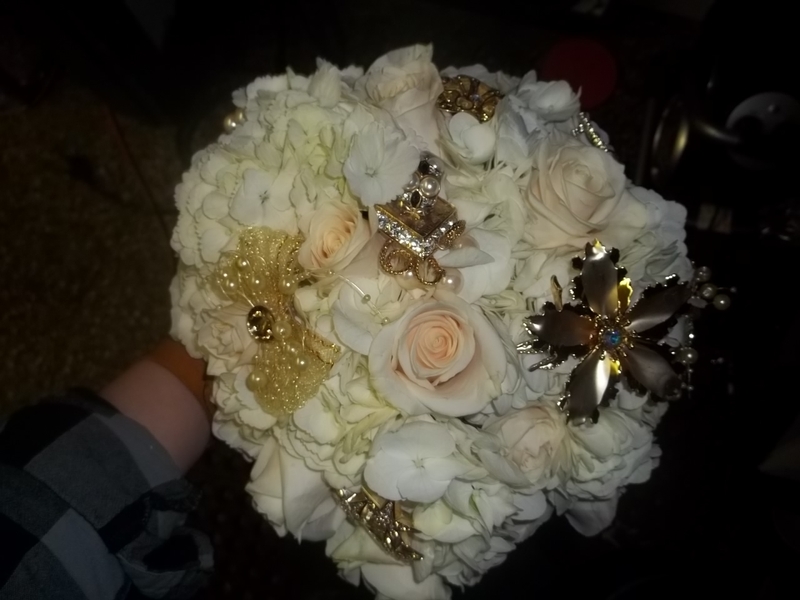 A family keepsake is added to this bouquet to give it sentimental value. 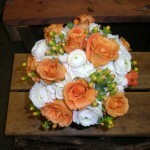 Peach and coral are a nice way of keeping it feminine without using too much pink. 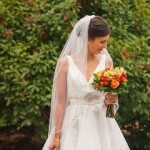 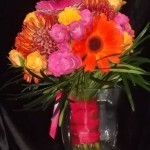 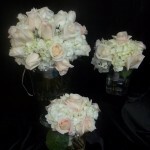 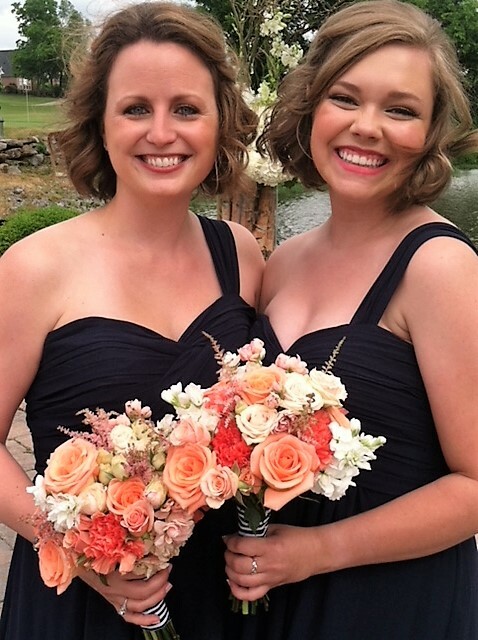 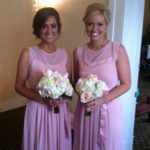 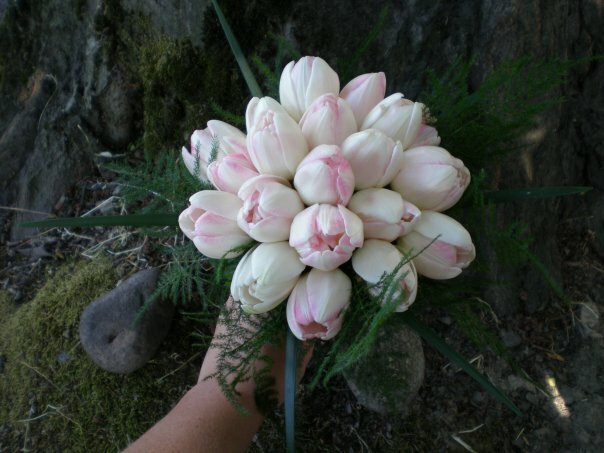 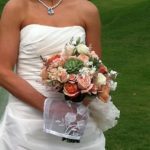 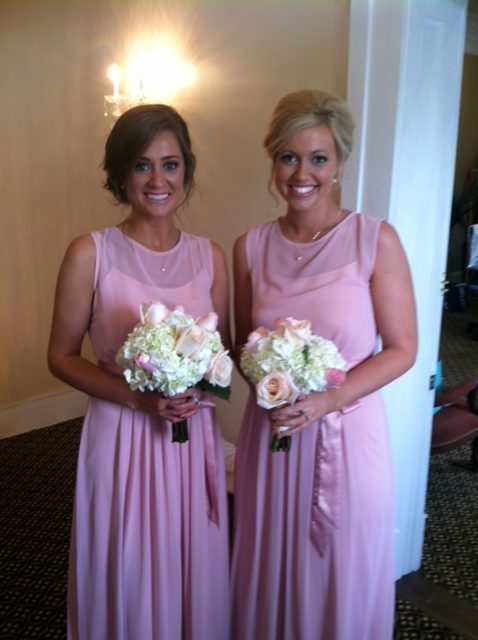 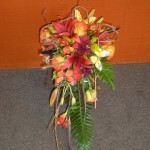 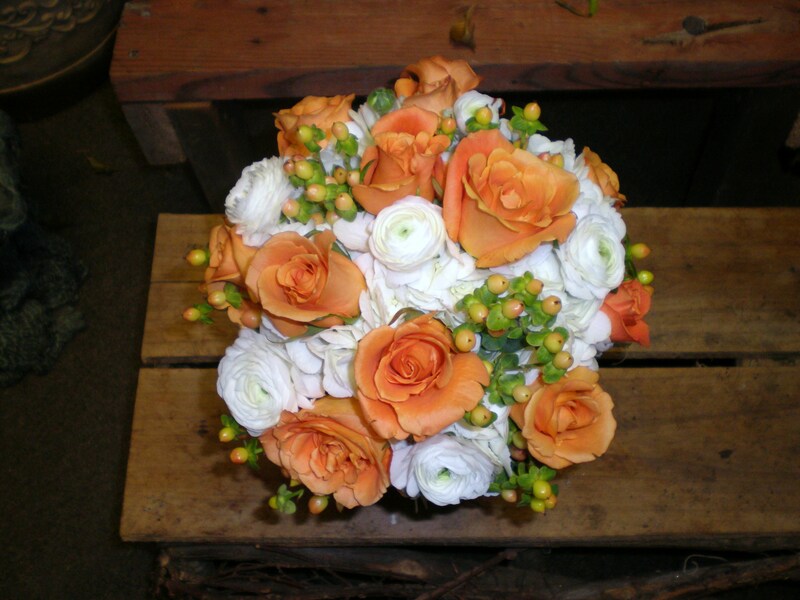 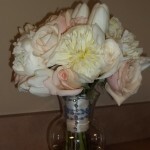 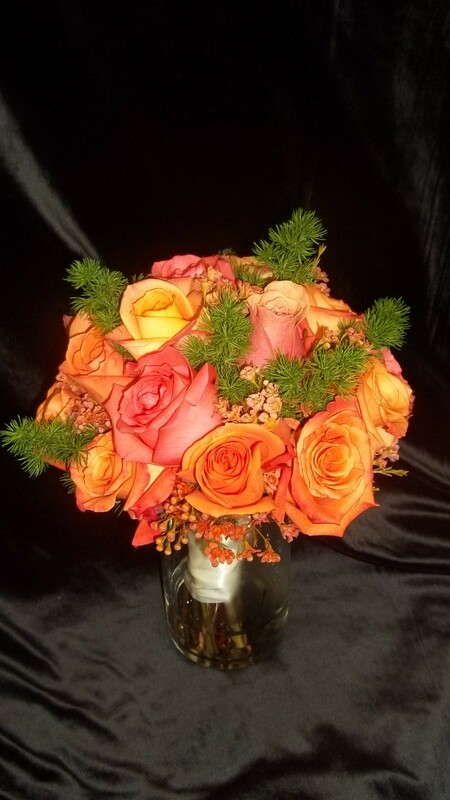 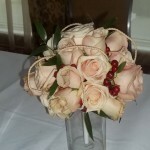 Peach and coral give warmth to a bouquet while keeping your event formal and classy. 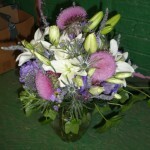 Garden mix to conjure the moors of Scottland and Ireland. 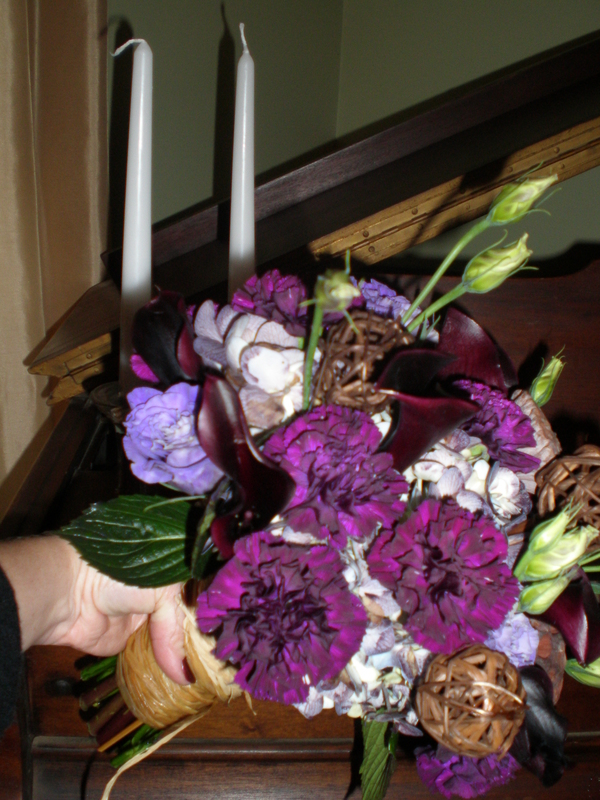 Jewel tones for the queen of the day. 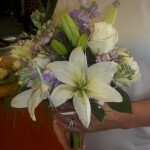 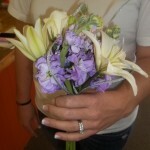 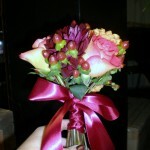 Elegant finger bouquets are another option for mothers who don’t want to pin on a corsage. 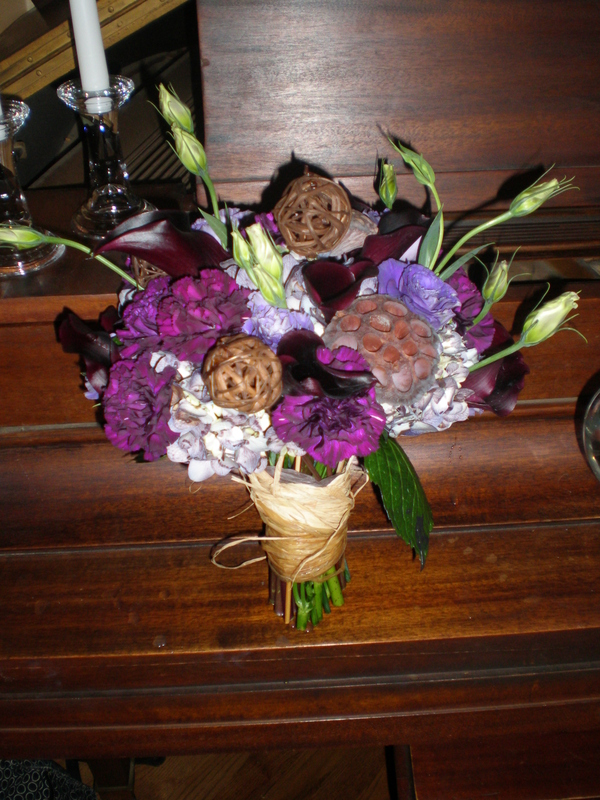 mix of dahlias, billy balls and scabiosa pods. 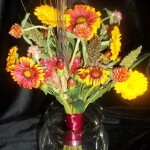 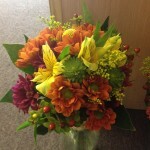 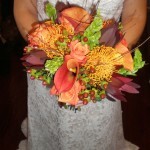 Bright mix of summer yellows and greens with fall oranges and plums. 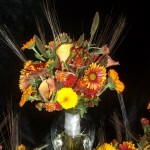 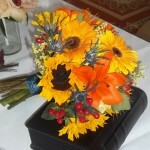 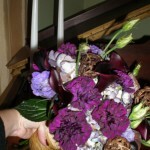 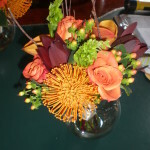 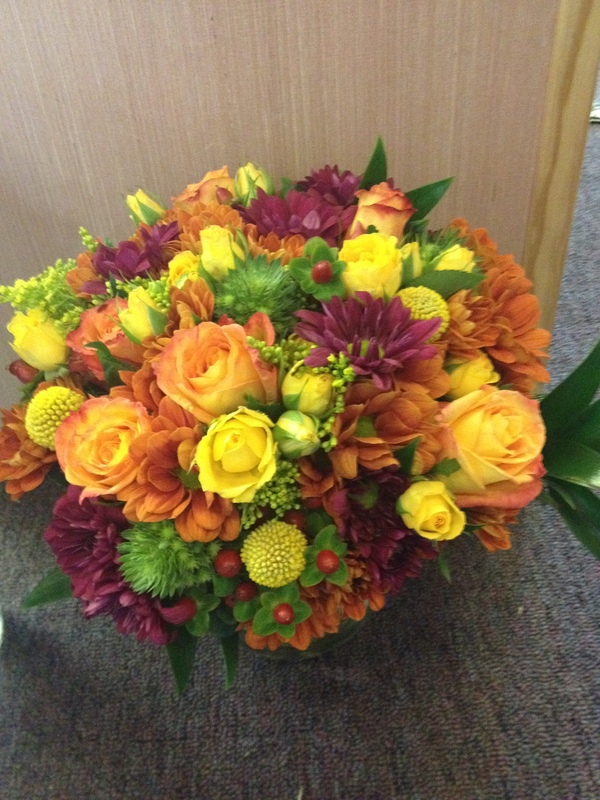 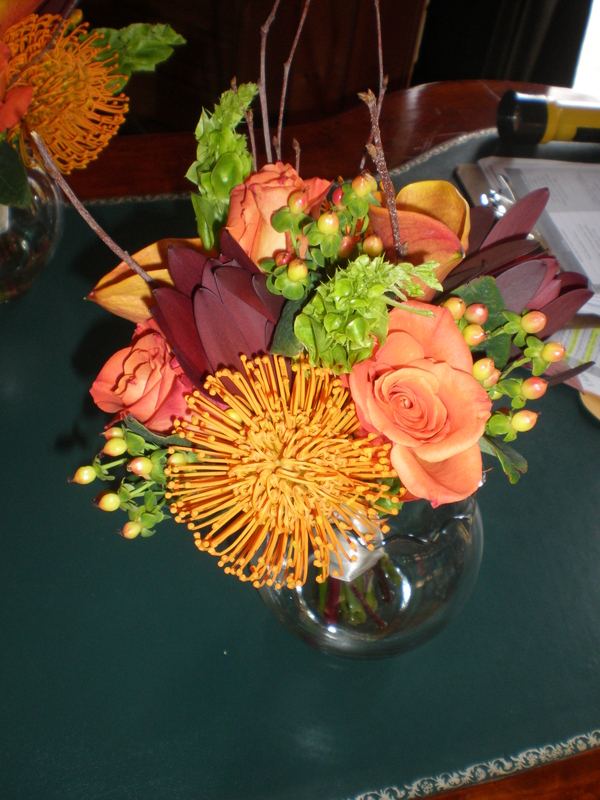 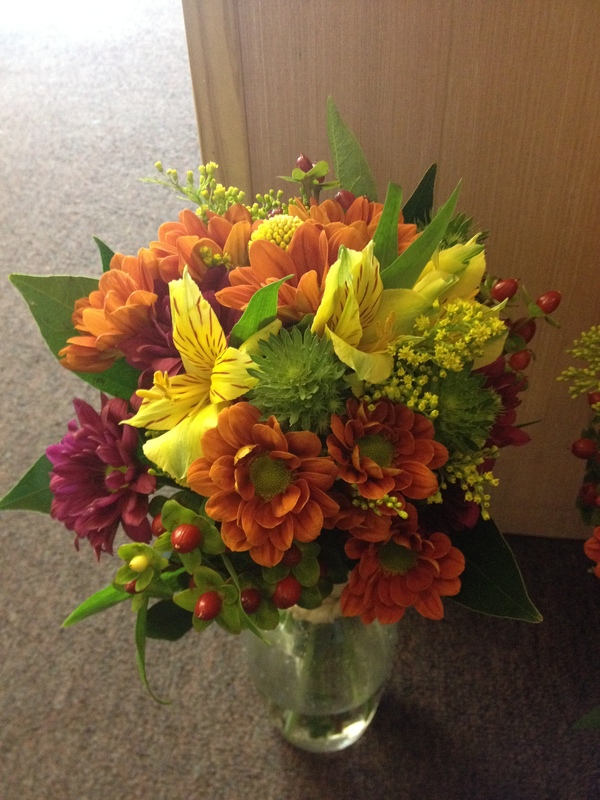 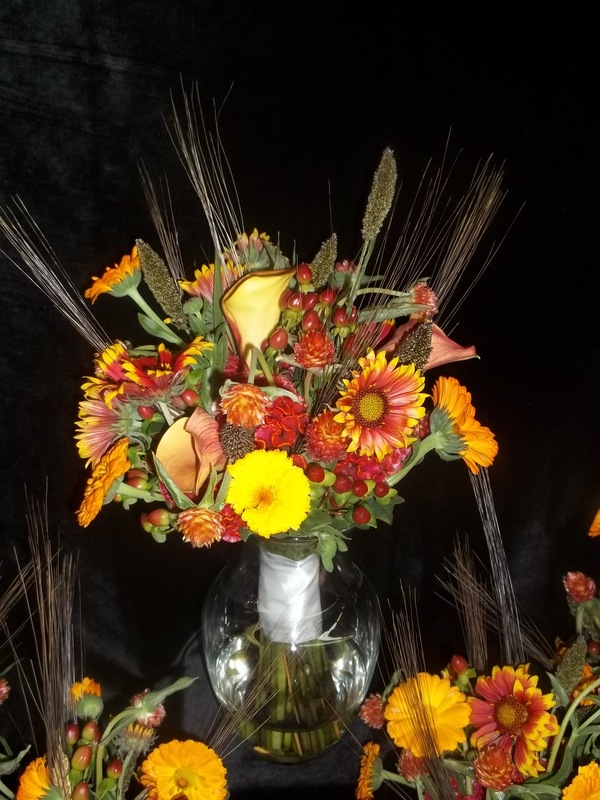 Hand tied bouquet full of texture and fall shades. 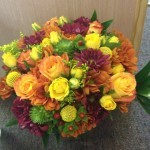 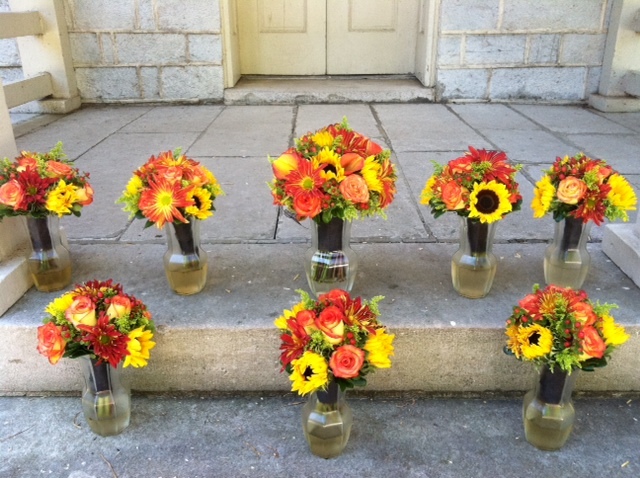 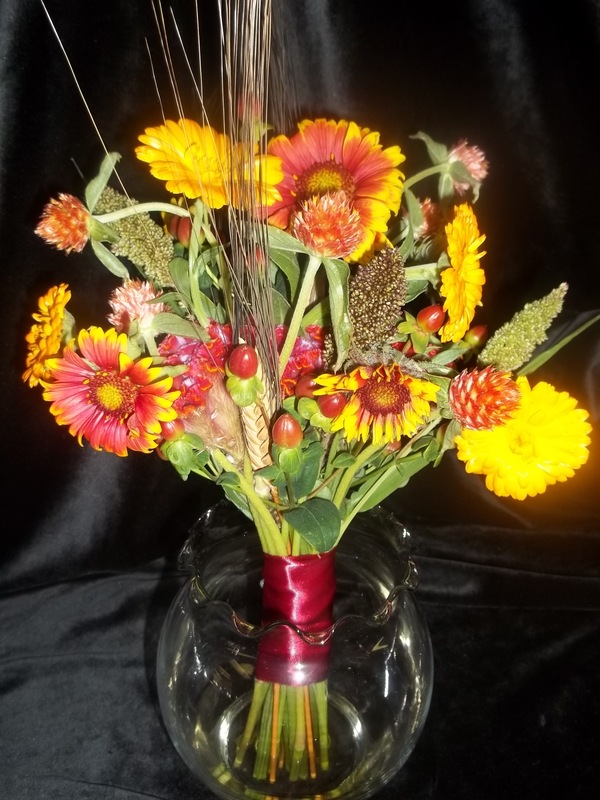 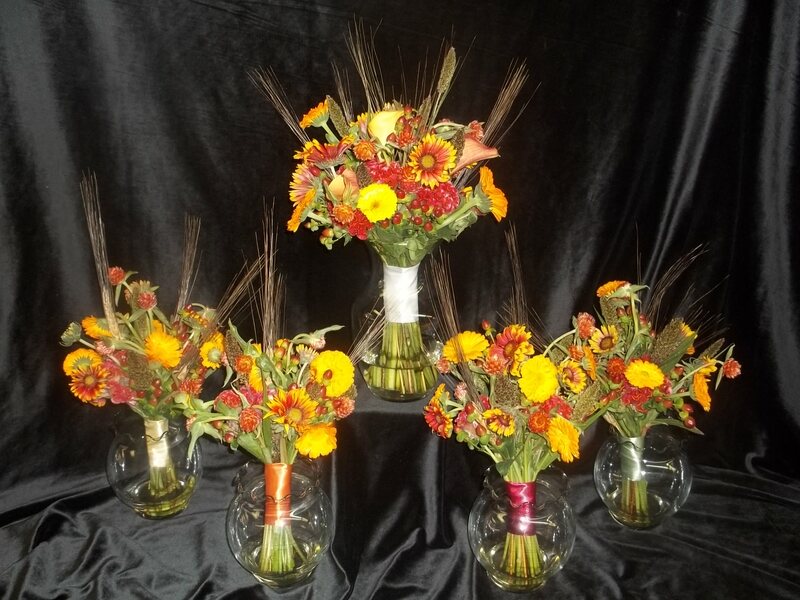 Roses, Mango Callas, Hypericum berries, Belles of Ireland, Safari Sunset and Pincushion protea topped with a few sticks. 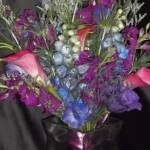 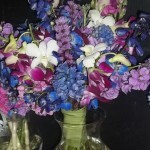 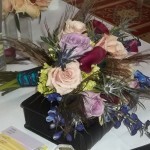 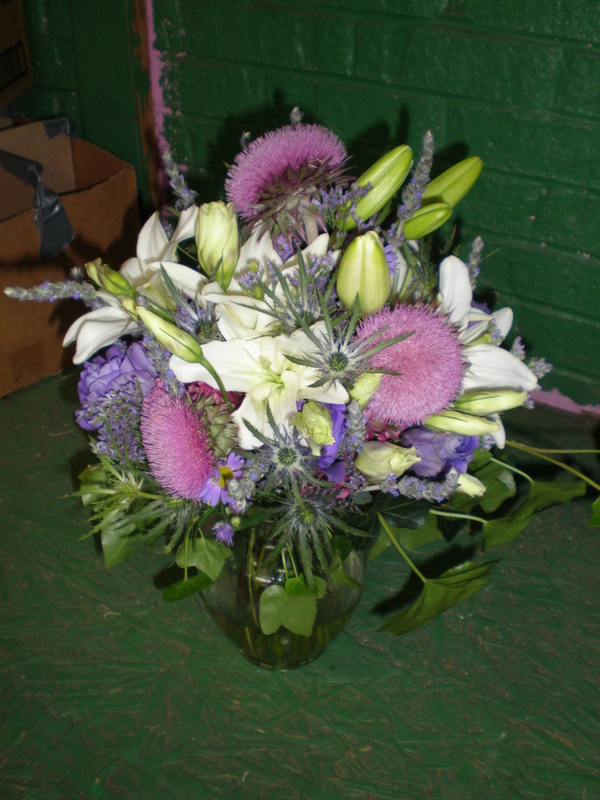 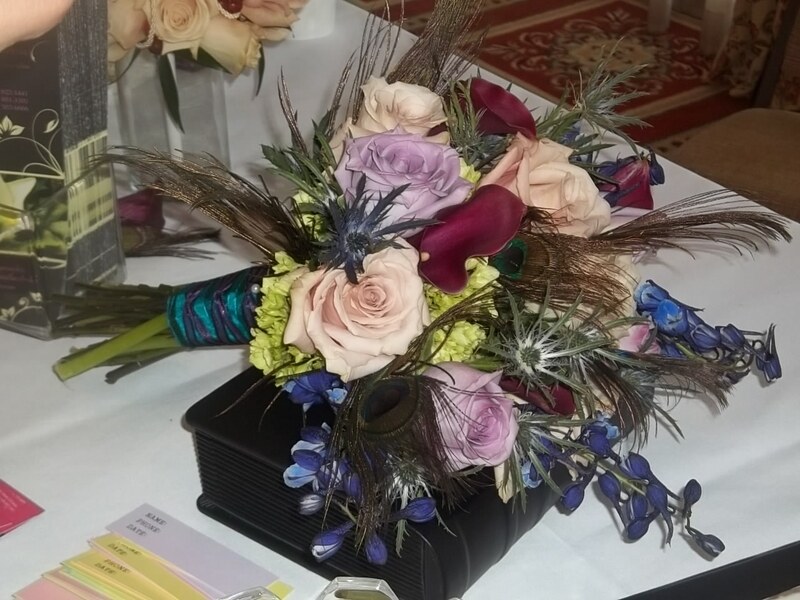 Roses, hydrangea, callas, and delphinium are accented with spiky blue thistle and peacock feathers. 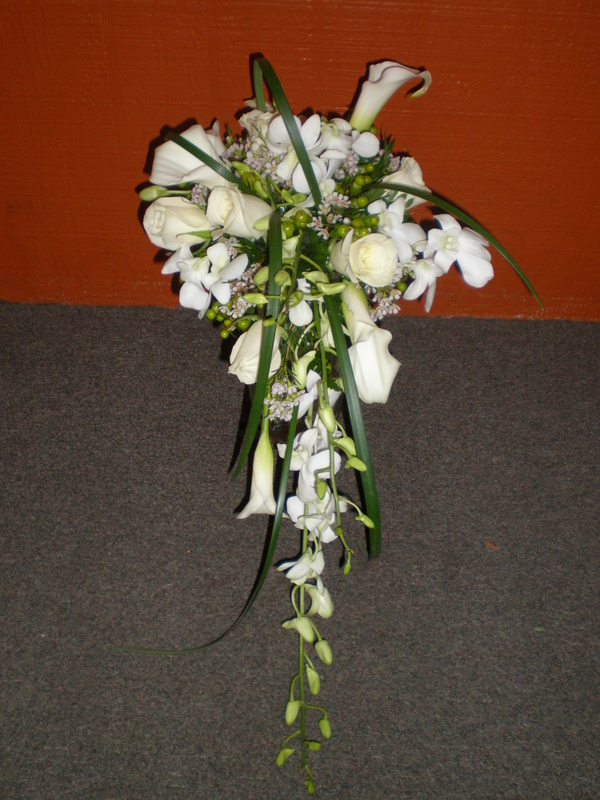 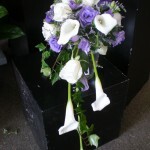 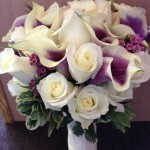 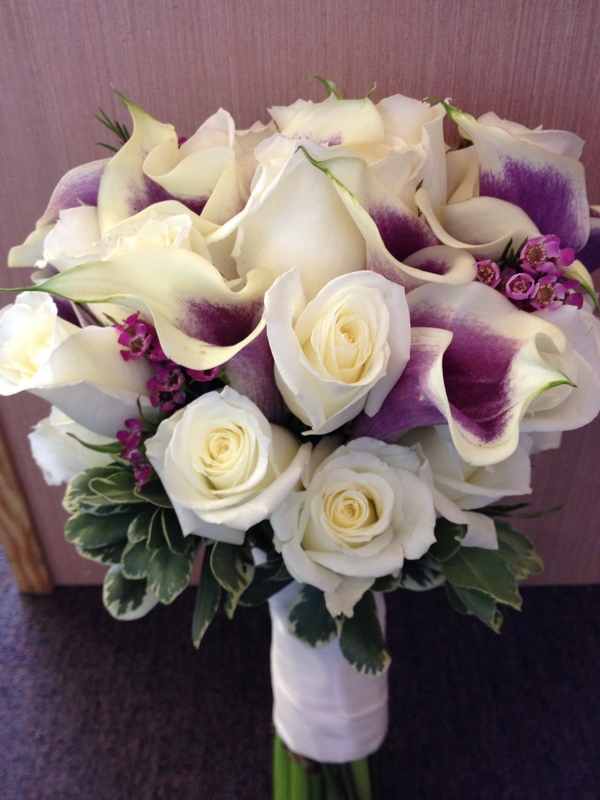 Picasso calla lilies are a popular shade to set your bouquet apart. 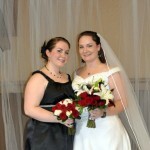 Classic red white and black themed wedding reflected here. 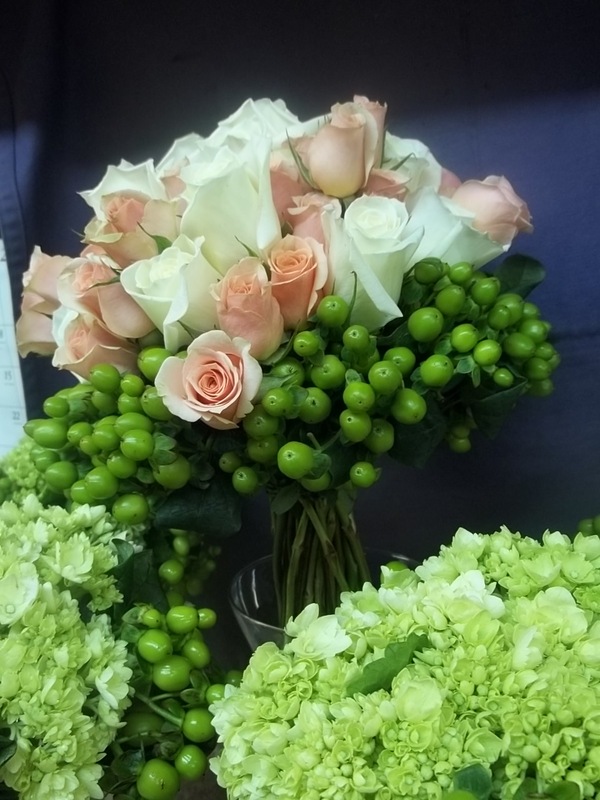 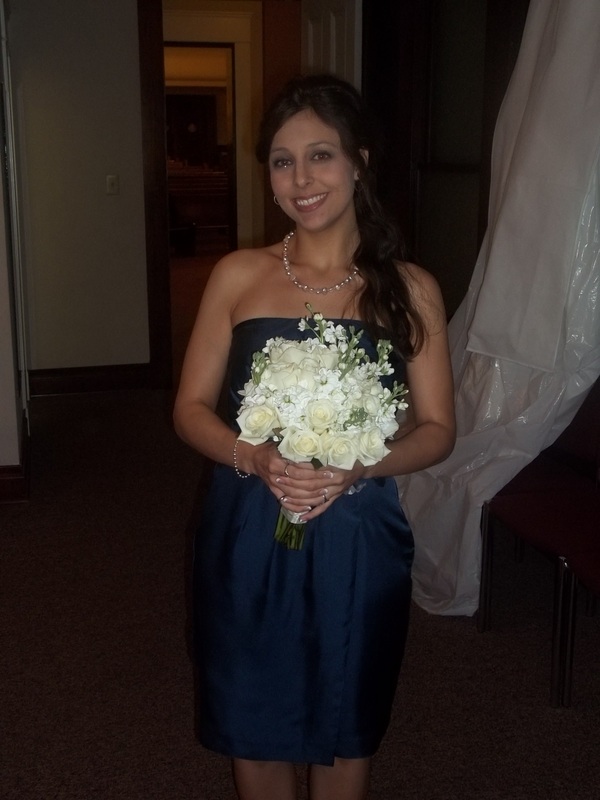 Bridal bouquet of roses with a collar of green hypericum berry surrounded by the attendants’ bouquets of hydrangea. 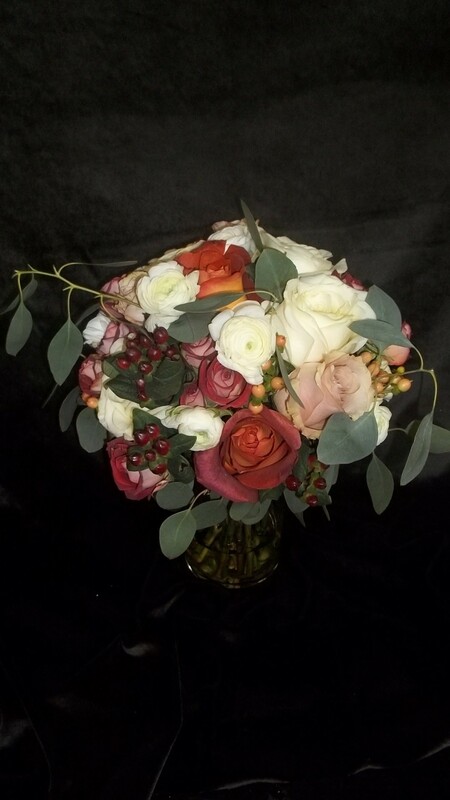 Roses, spray roses, seeded eucalyptus, and jeweled stephanotis. 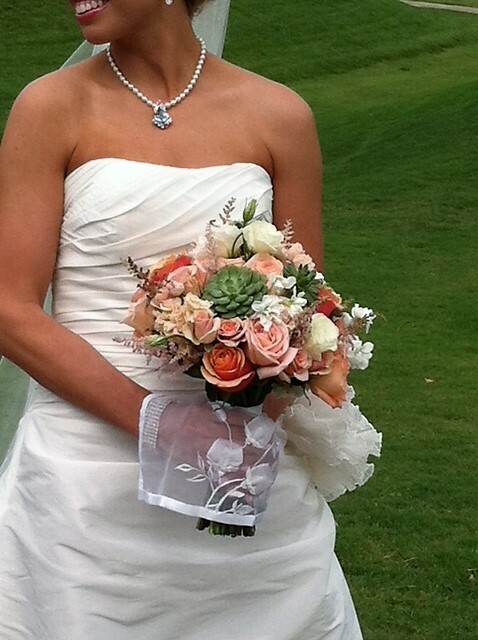 Cascading style with dainty pearl accents. 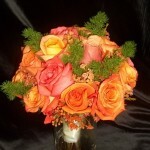 An all rose bouquet can be dressed up with seeded Eucalyptus and Safari Sunset. 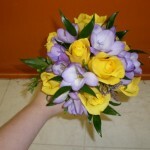 spring mixed bouquet with iris and peonies. 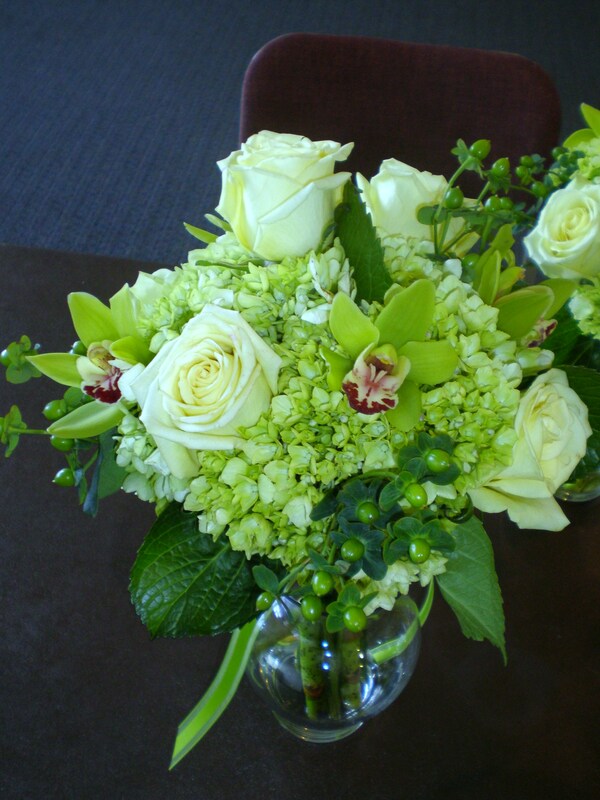 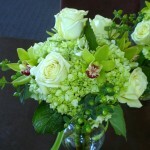 Jade roses, green hydrangea mini green cymbidium orchids. 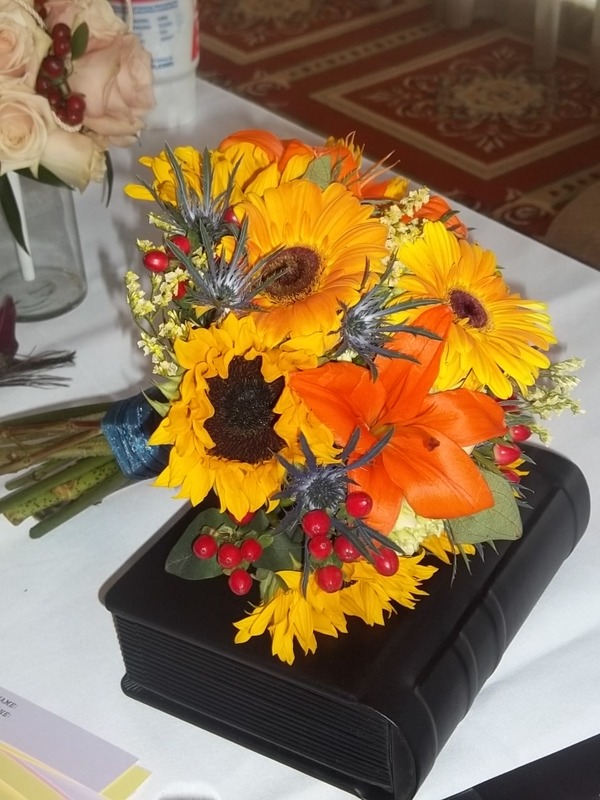 Inexpensive clutch of mixed flowers. 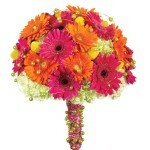 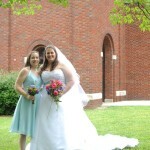 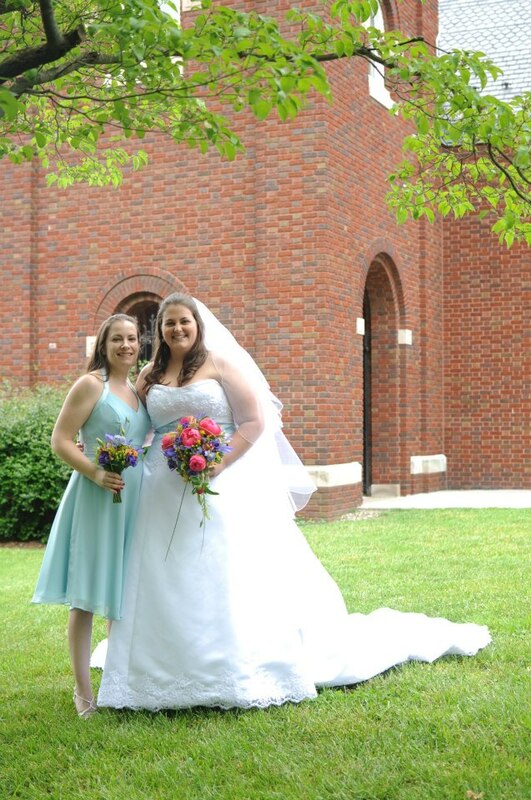 bright colors are perfect for summer weddings. 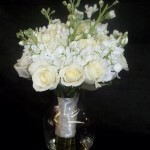 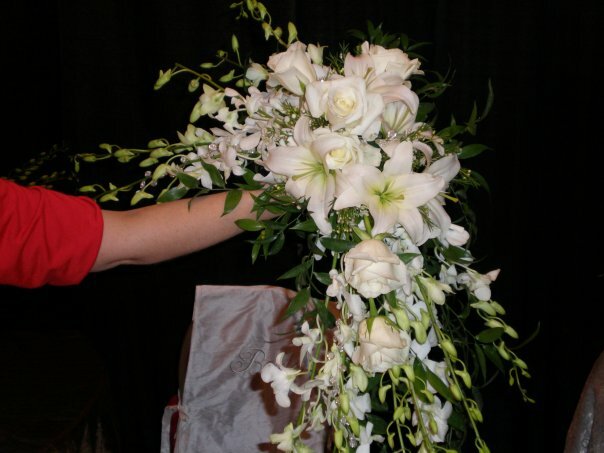 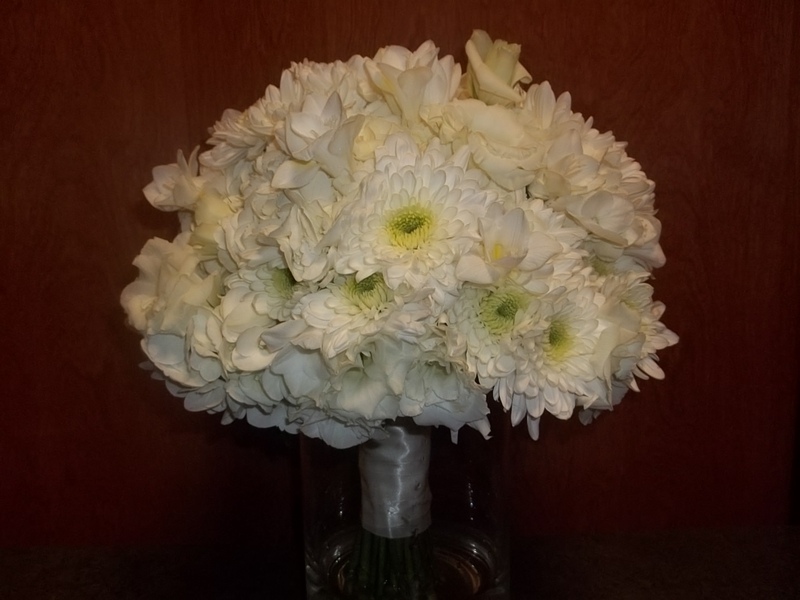 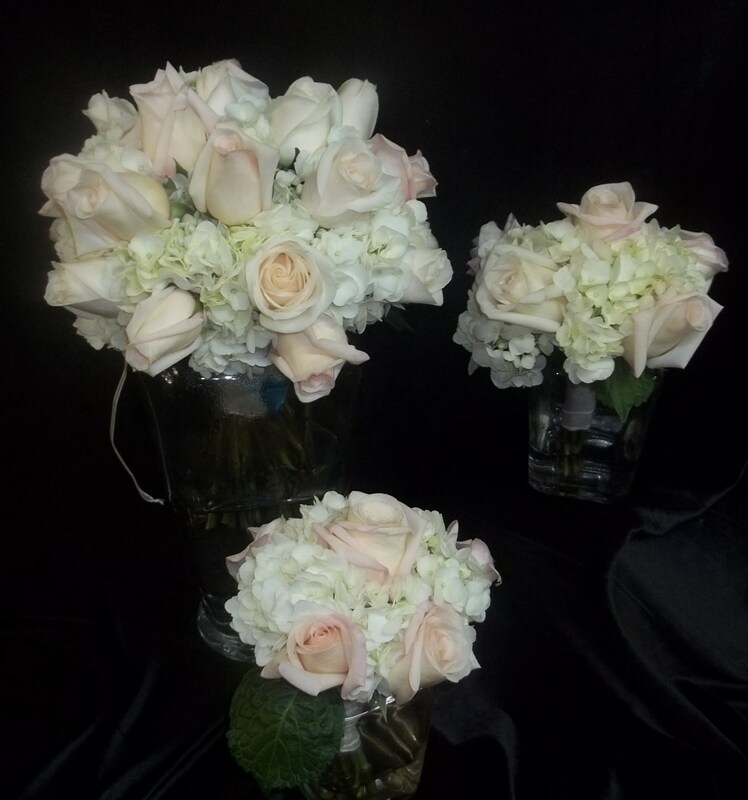 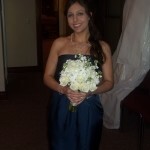 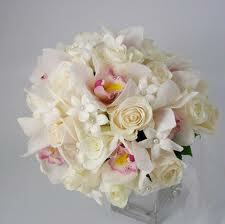 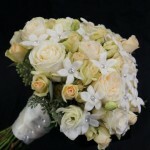 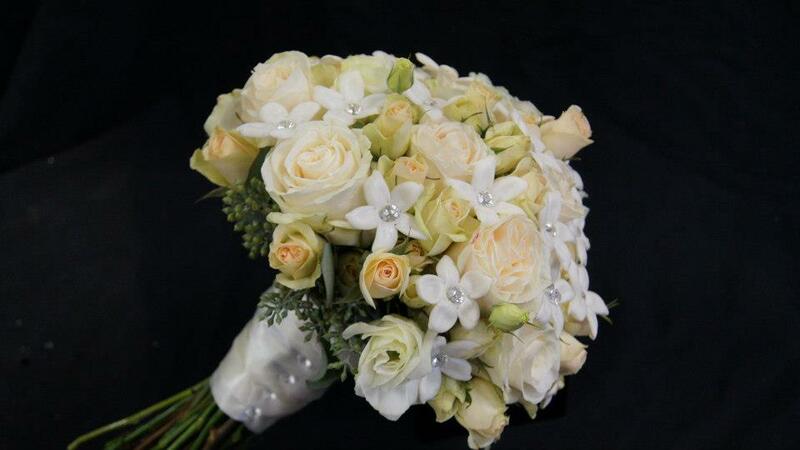 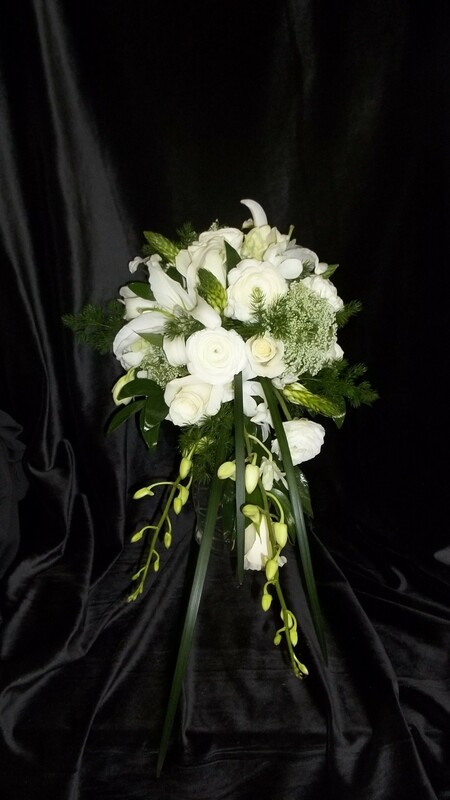 white roses, mini cymbidium orchids and stephanotis blooms complete with pearl insert. 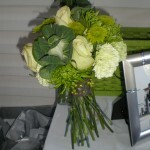 Pale green blooms lends just a touch of color to an otherwise all white wedding. 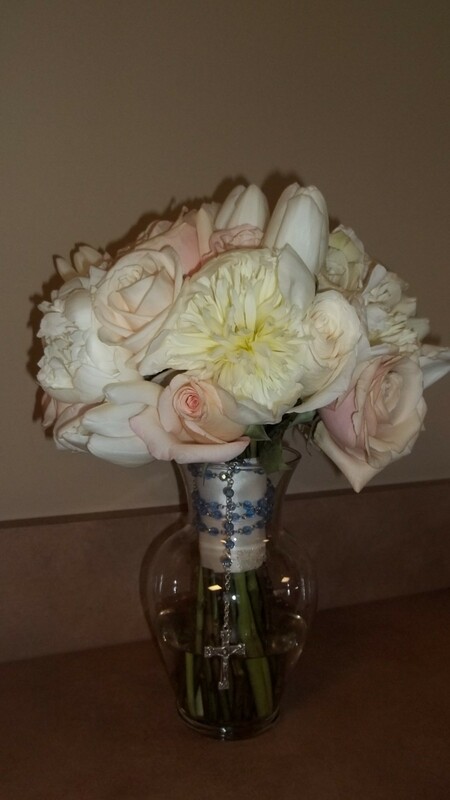 An elegant pink and white mix. 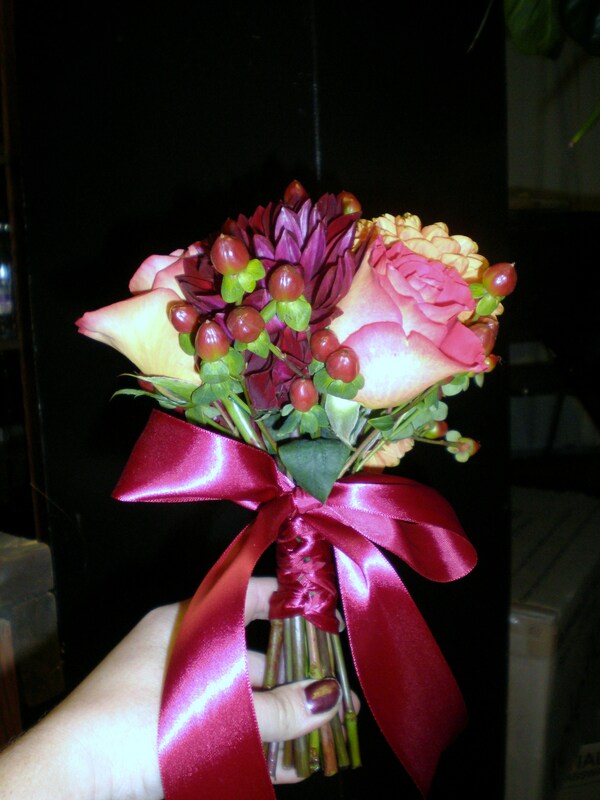 Add some fun to your bouquet!! 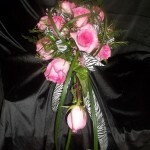 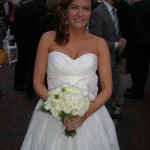 Ask your designer how we can coordinate with your theme wedding. 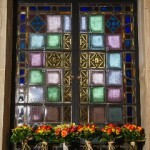 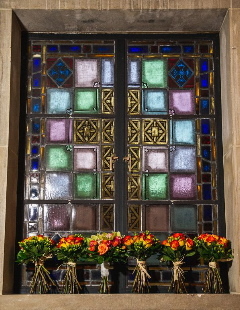 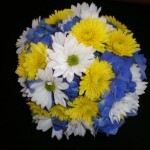 UT tribute bouquet. 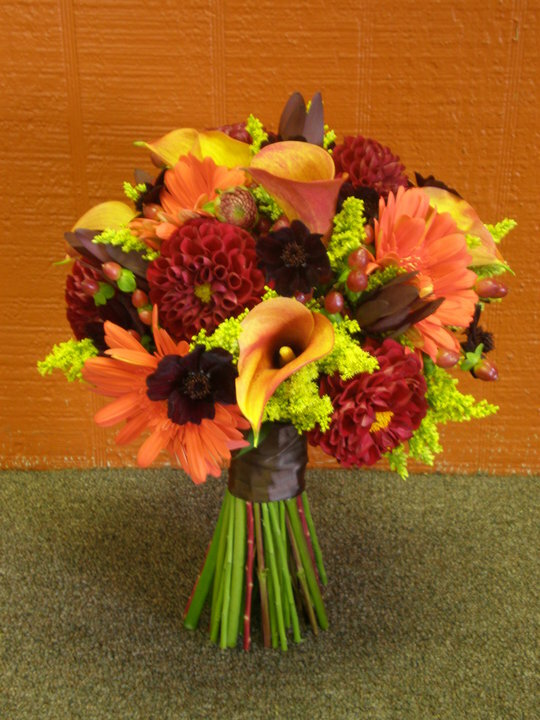 We can work with any team colors. 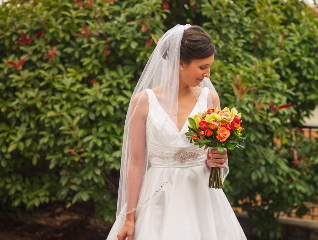 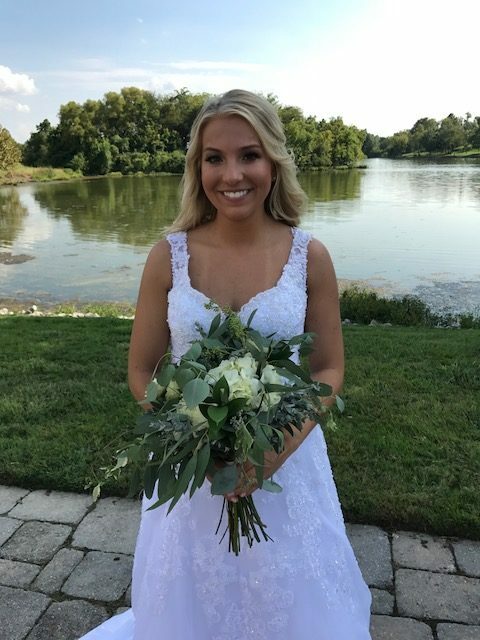 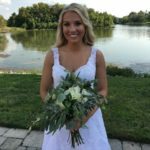 A mix of foliage with a touch of white blooms to give this bride a gardeny gathering.